Fire License/CC (Completion Certificate)/Planning Approval Extra. 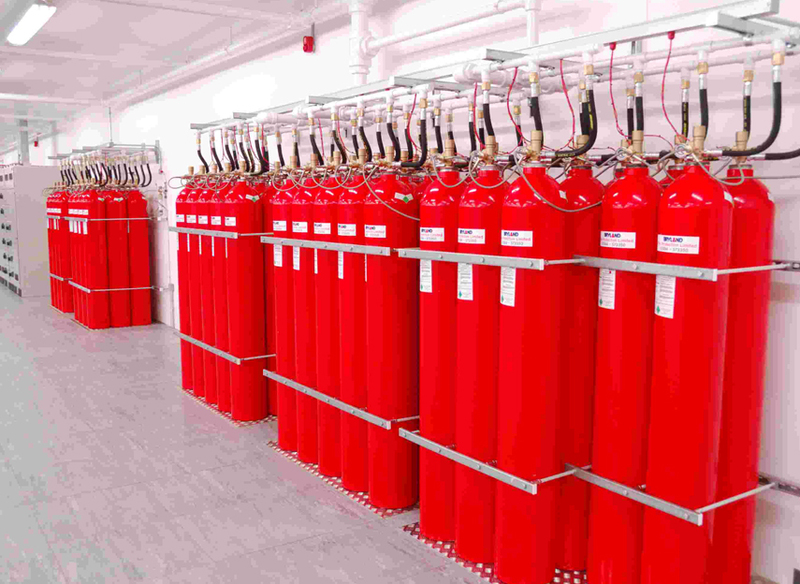 Audit inspections of All Types of Fire Protection Systems. 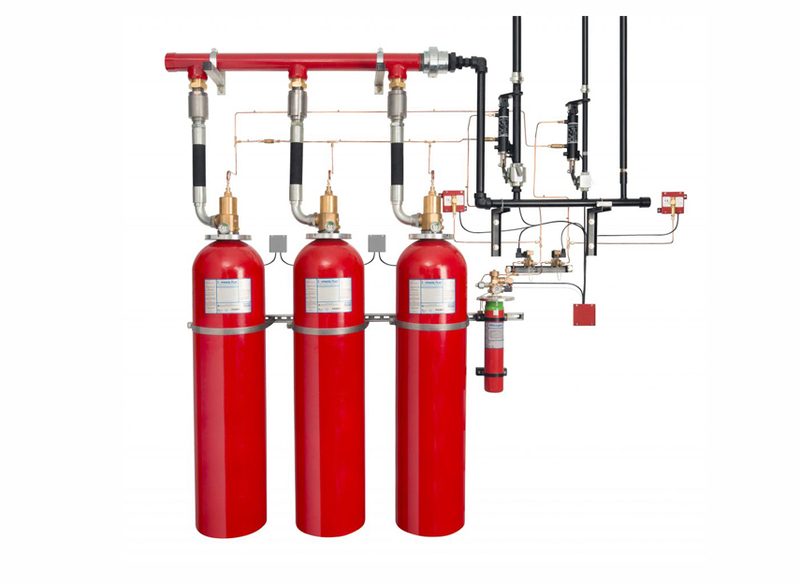 Fire Protection Drawings as may be Required by Local, State, or Federal Authorities. Fire safety Training Seminars, Fire Drill Evaluation, Fire Escape Route Planning and Procedure. 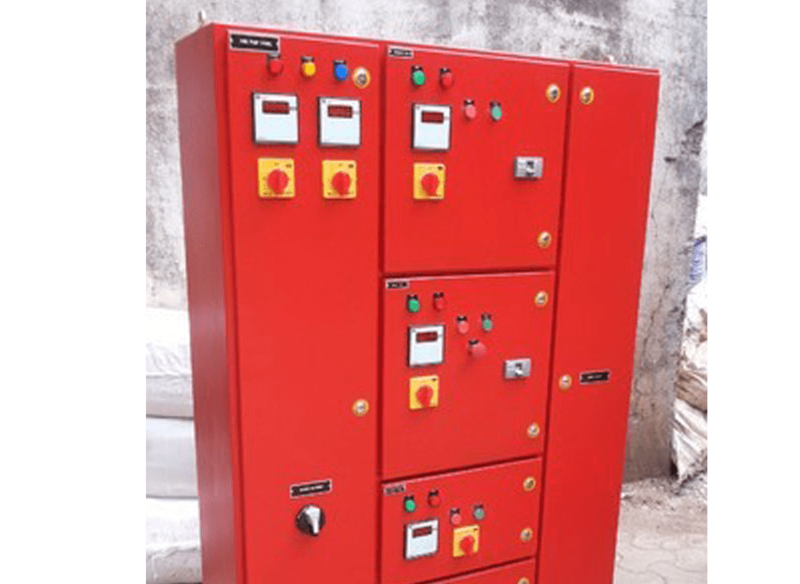 Fire Protection System Commissioning as Recommended by NBC. Preparing Detailed Documentation to Your Projects Include, Details of an Engineer Drawing and Preparation of Tender & BOQ by Actual Material Used At Site. 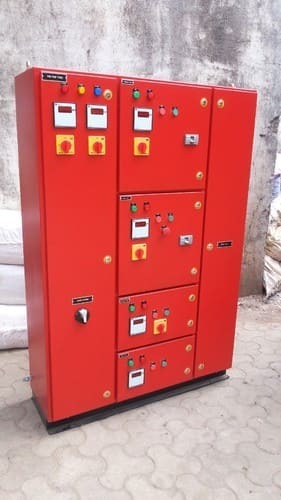 We PHENIX FIRE PROTECTION SYSTEMS Provide the following systems on Turnkey basis (Consultancy, Design, Detailed Engineering, supply Installation, Testing & Commissioning) as per NFPA, latest Fire Service Code and NFPA standards. 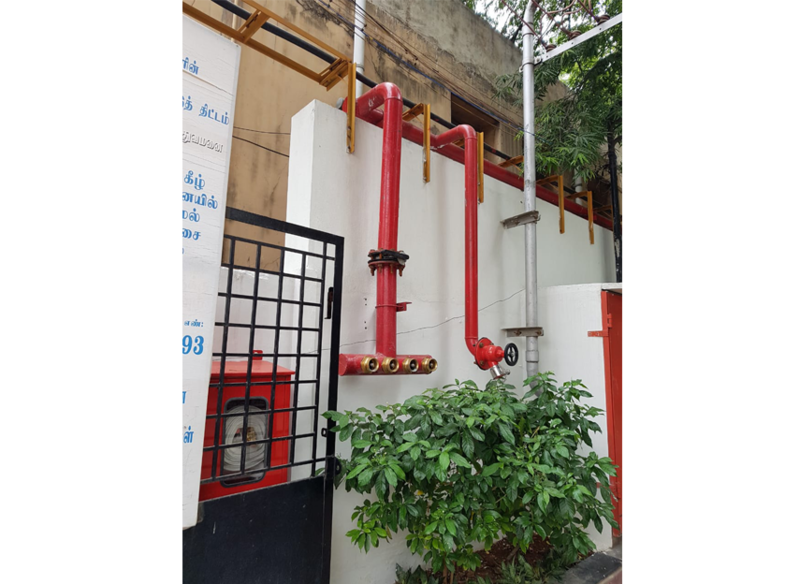 Our range of Fire Hydrants Systems are standard fire detection system that can easily sense fire in the initial stage and can control it by automatically dialing the fire brigade station or other related authority and inform. 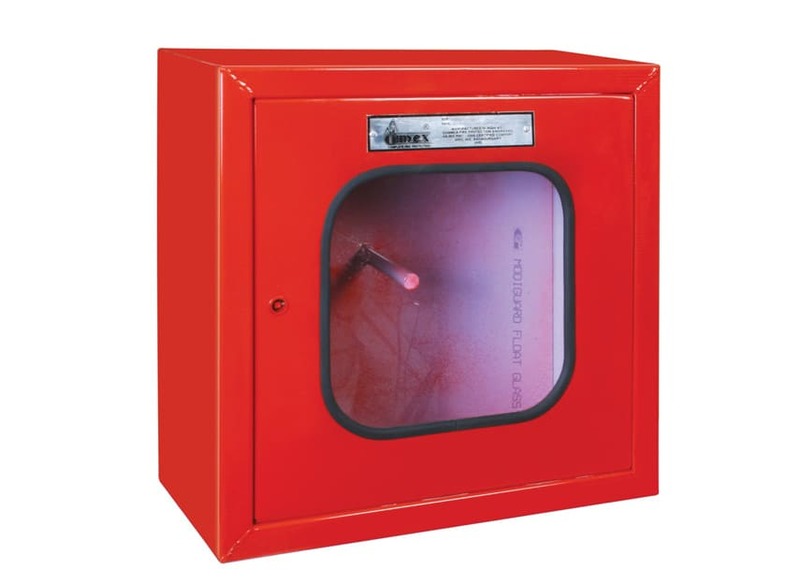 To control the fire an optional automatic Carbon Di-Oxide discharger can also help. 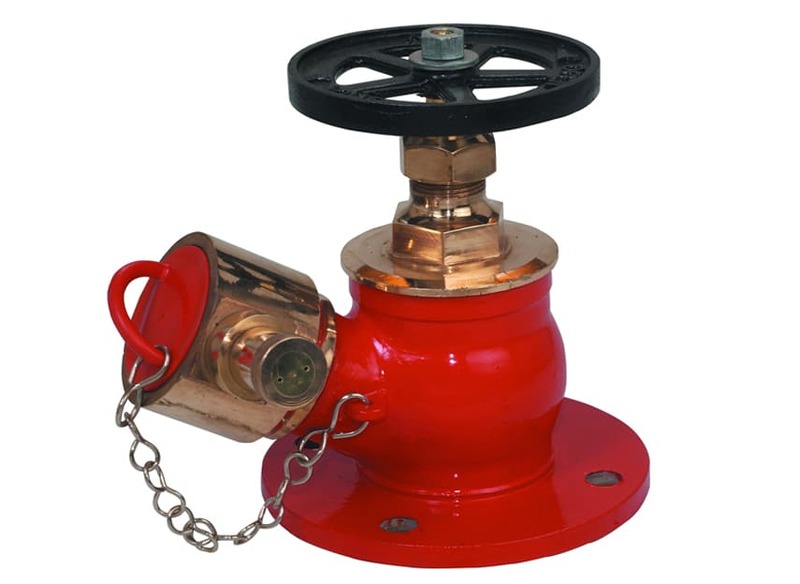 Fire Hydrant System is one of the most effective fire alarming systems. The whole pipeline is kept under uninterrupted pressure with water. 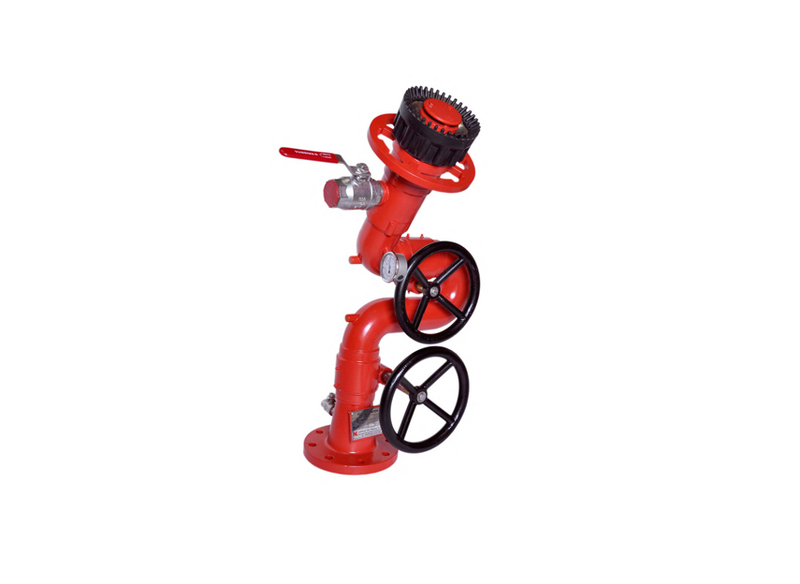 Whenever the hydrant valve is open, the pressure in the pipeline reduces drastically and jockey pump set which normally keeps the total system pressurized is unable to cope with the system demand which results in further fall in pressure. 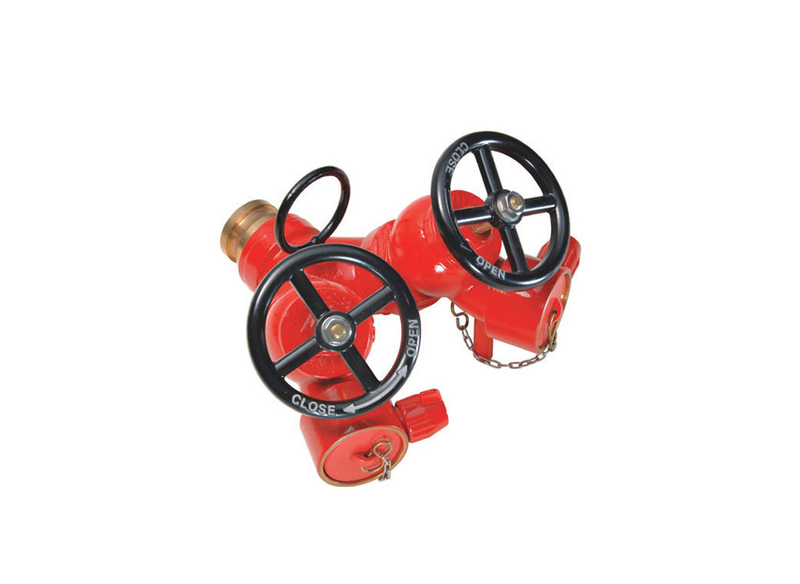 The further fall in pressure is perceived by the designated pressure switch and the main fire pump set starts automatically. 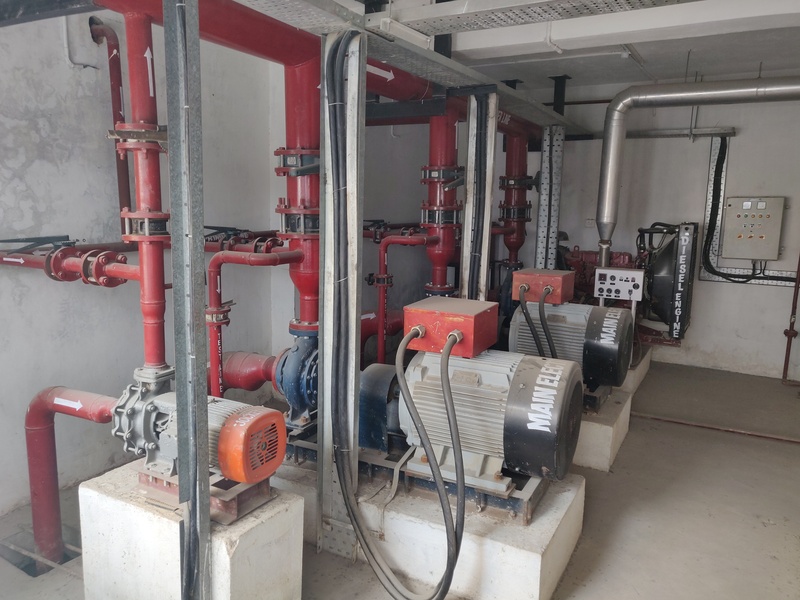 Relying upon the type and sensitivity of the risk, diesel-engine powered fire pump set should also be installed having standby capacity of 100%. 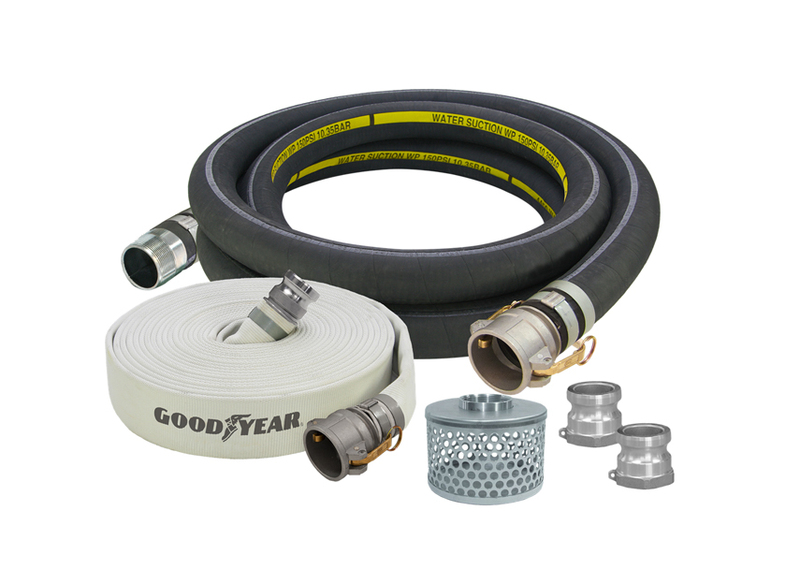 Some of the system components of fire. 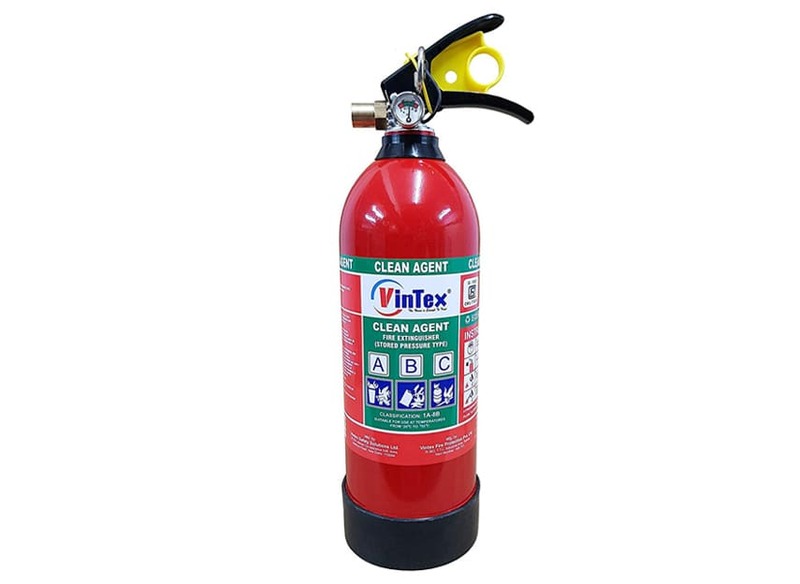 It is a semi-automatic fire extinguishing system. A network of pipes is laid out counting upon the risk with hydrant valves placed at strategic places. 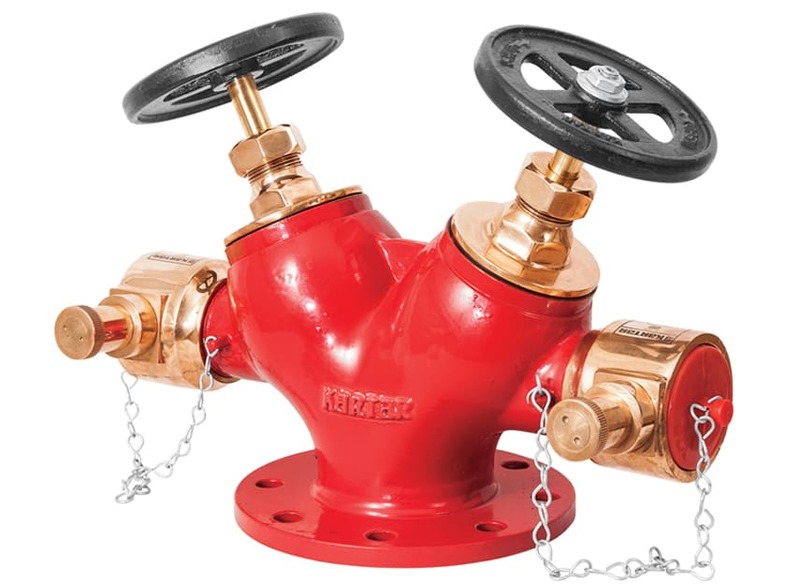 The spacing or the distance between yard hydrants is guided by norms viz. 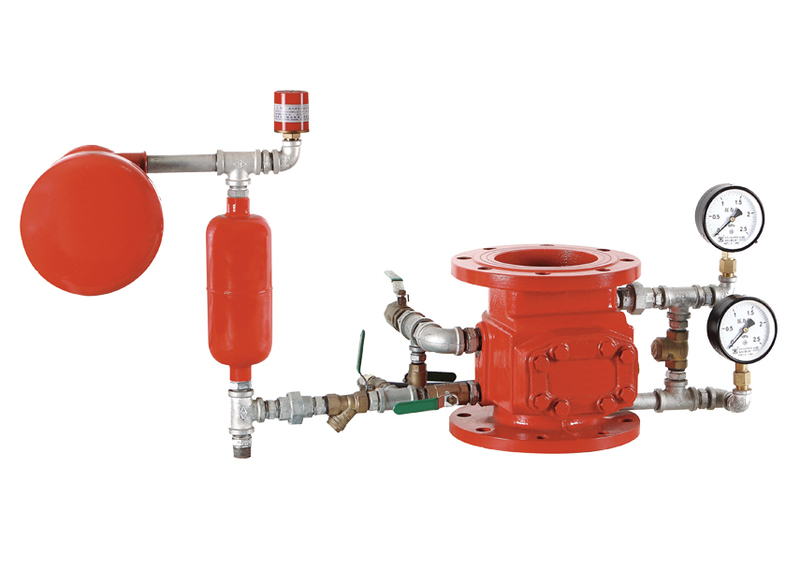 The entire range of ISI marked Hydrant Accessories - Landing Valves, Couplings, Branch Pipes, Special Nozzles, Fire Hoses, Monitors, Hose Boxes, Hose Reel Drums etc. C.P. 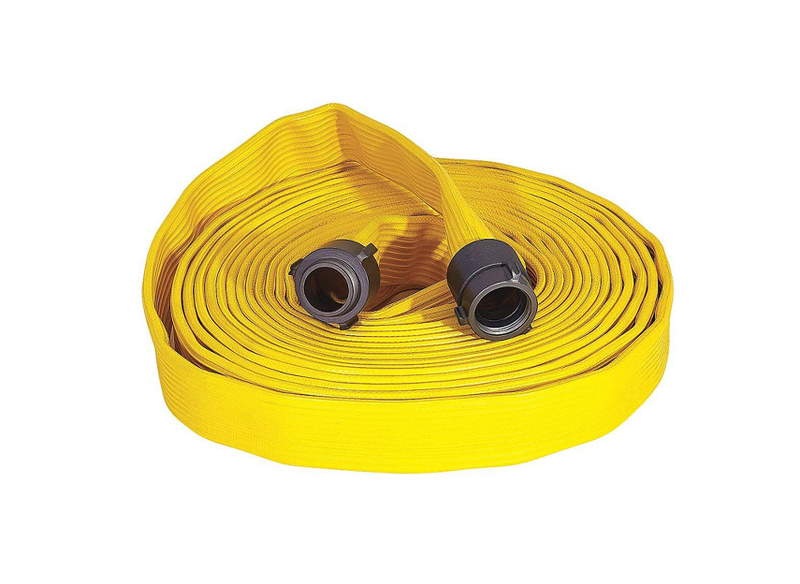 (Controlled Percolating) HOSE - Cotton/Synthetic Fibre, Circularly Woven Jacketted Controlled Percolating Fire Hose, treated against rot with mystox, 36 kg/cm2 burst pressure, 22kg/cm2 proof pressure as per IS:8423 with ISI mark. 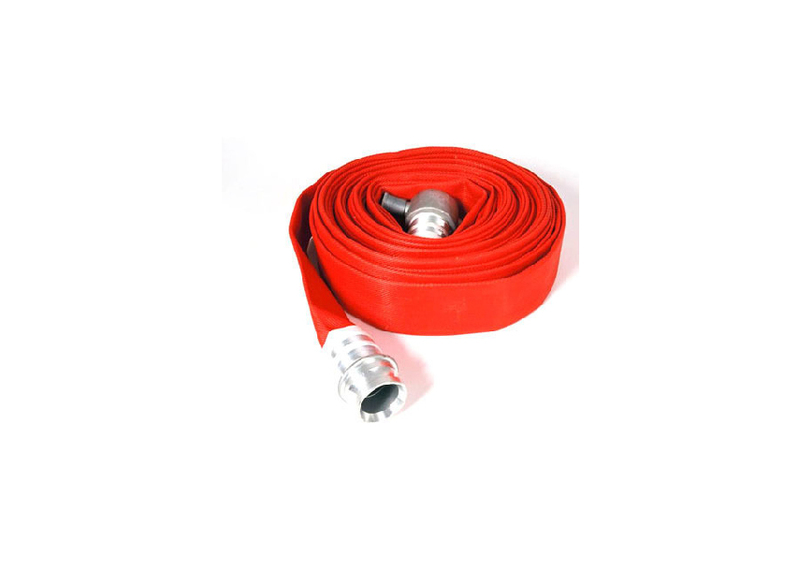 RRL (Reinforced Rubberlined) Fire Hose Type A - Cotton Synthetic Fibre, circularly Woven Jacketed Rubberized Fabric RRL Fire Hose, treated against rot with mystox 36 Kg/cm2 burst pressure, 22kg/cm2 proof pressure as per IS:636:88 type A with ISI Mark. 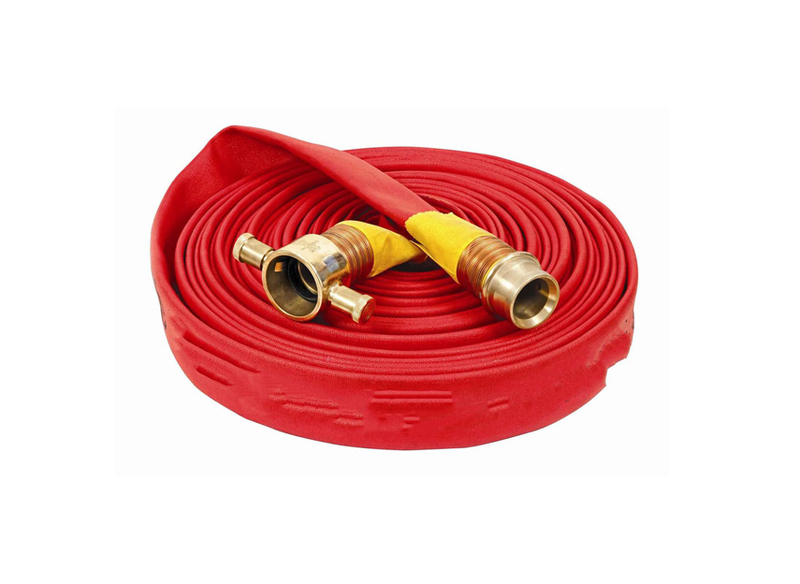 RRL (Reinforced Rubberlined) EXTOCOAT - Fire Hose with outer special Elastomeric coating, circular woven Jacketed, 100% High tenacity Synthetic Yarn inert against mildew and rot lined with a special compound of synthetic rubber with 40 Kg/cm2 burst pressure, 22kg/cm2 proof pressure as per IS:636:88 Type A with ISI Mark. 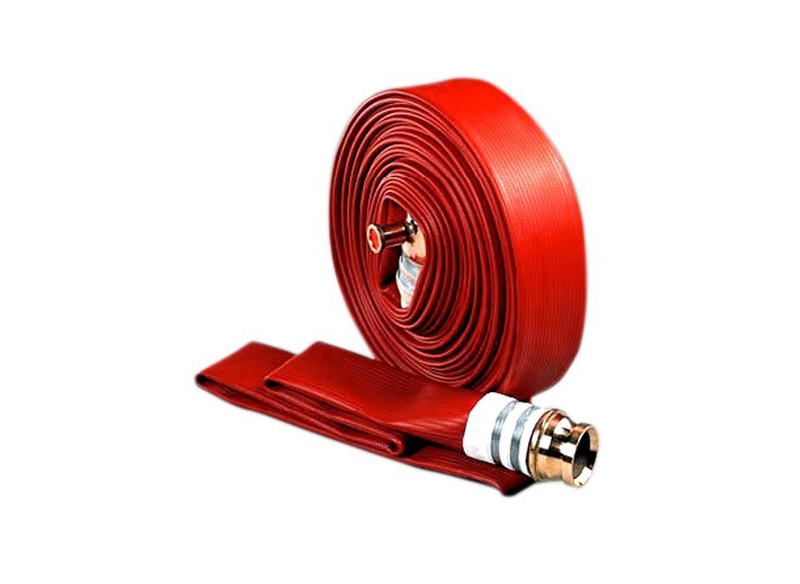 RRL (Reinforced Rubberlined) Fire Hose Type B Non Percolating Fire Hose Completely composite construction circularly woven 3 layered synthetic jacketed fully encapsulated with a specially formulated elastomer, resistant against grease, oils, acids, ozone, fungus, alkalies, heat and other chemicals with outer design to facilitate a good grip, completely flexible and lightweight, no maintenance with 42Kg/cm2 burst pressure, 25kg/cm2 proof pressure, 18kg/cm2 working pressure as per IS:636:88 type B with ISI mark. 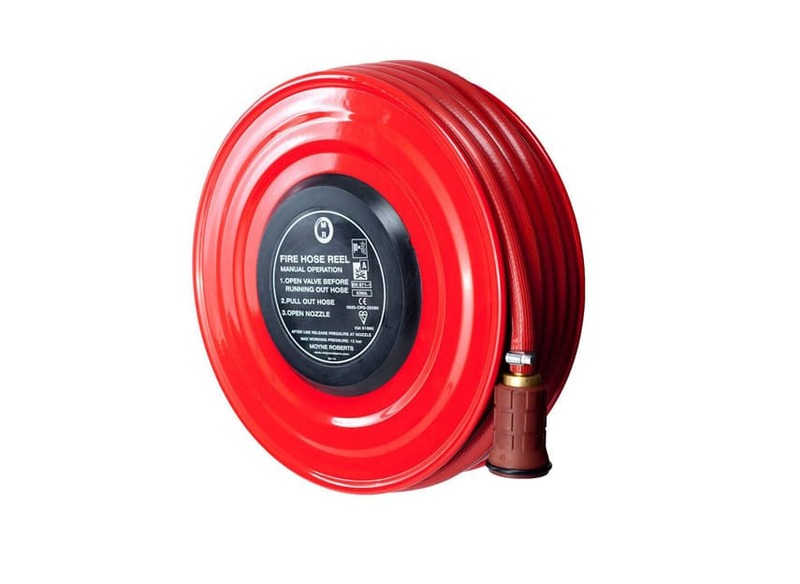 Size: 3" or 4" or 6"
Single Hose Box - Wall mounting type in 600mm X 400mm X 250mm) size to accommodate 1 lengths of 7.5 mtr. or 15 mtr. or 30 mtr. 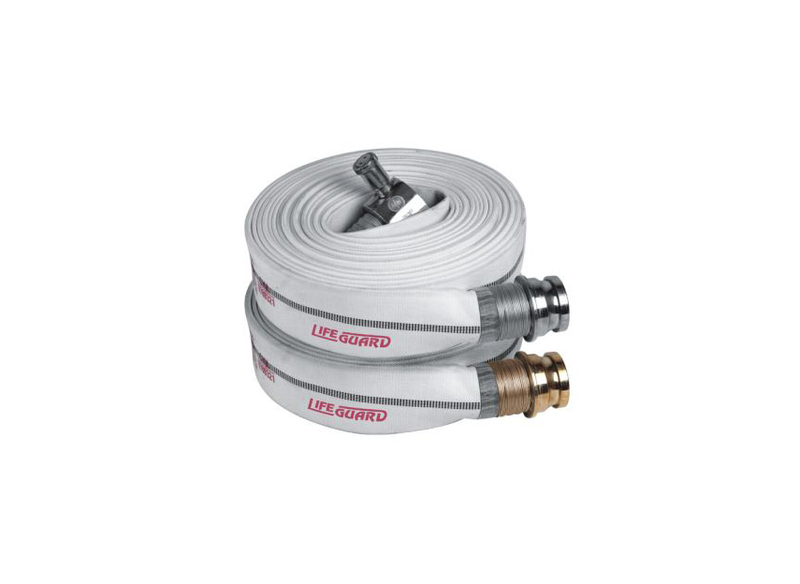 hoses and a branch pipe with glass covered single door with lock and key arrangements. 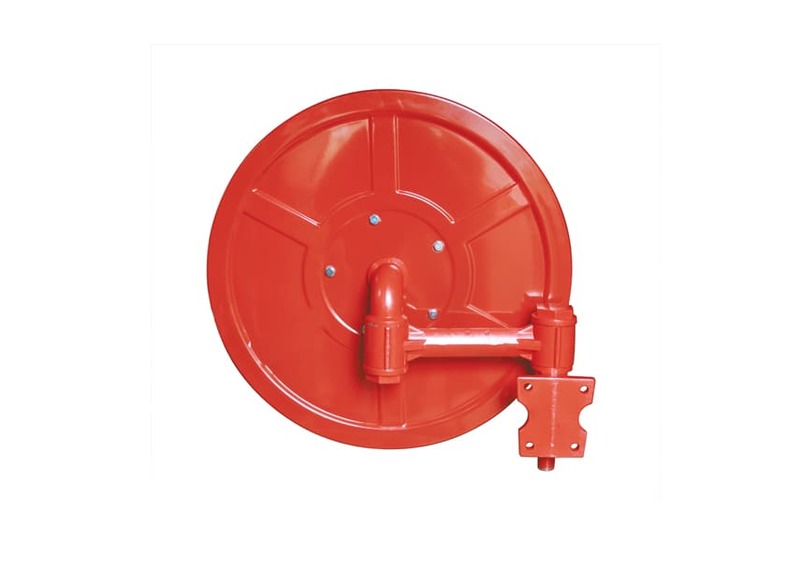 Hose Reel Drum, swinging wall mounting type made of mild steel sheet to accommodate 30mtr or 36.5mr of 19mm dia Rubber Hose with nozzle along with suitable bracket for fixing on the wall. 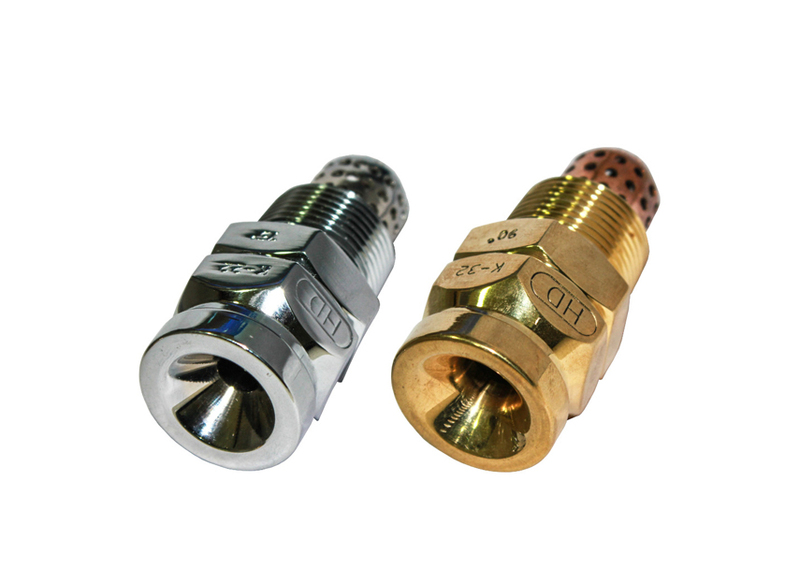 Nozzle – ABS or Gunmetal or Aluminium Available with 24mm Hose also. 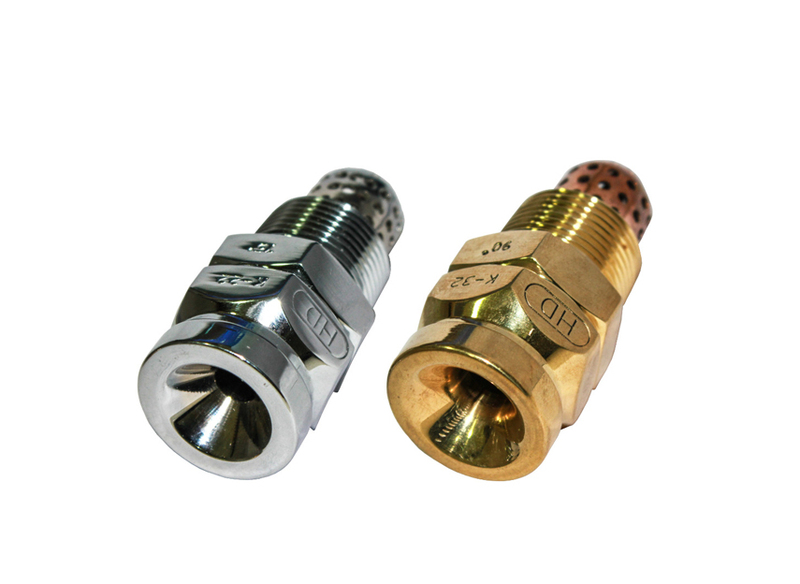 Air Release Valve- GM 25mm Male threaded air release valve. 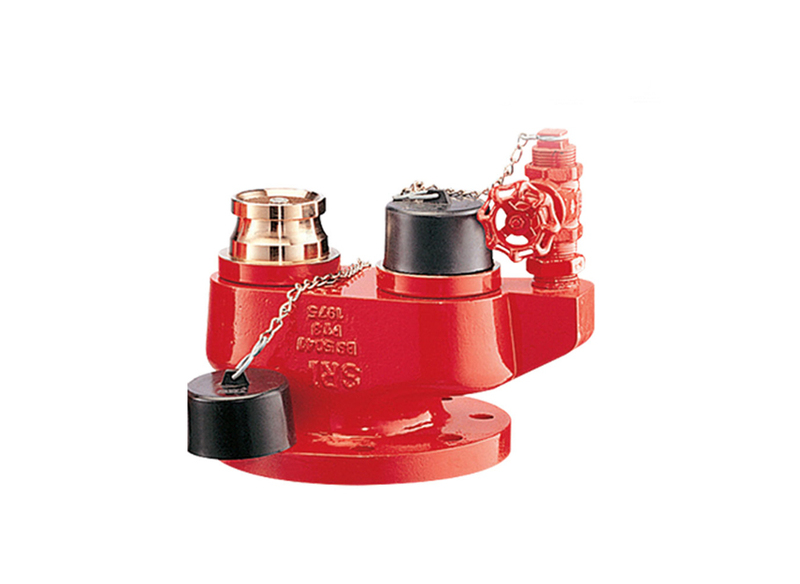 Were risers are a form of internal hydrant for the fireman to use and are always pressurized with water. 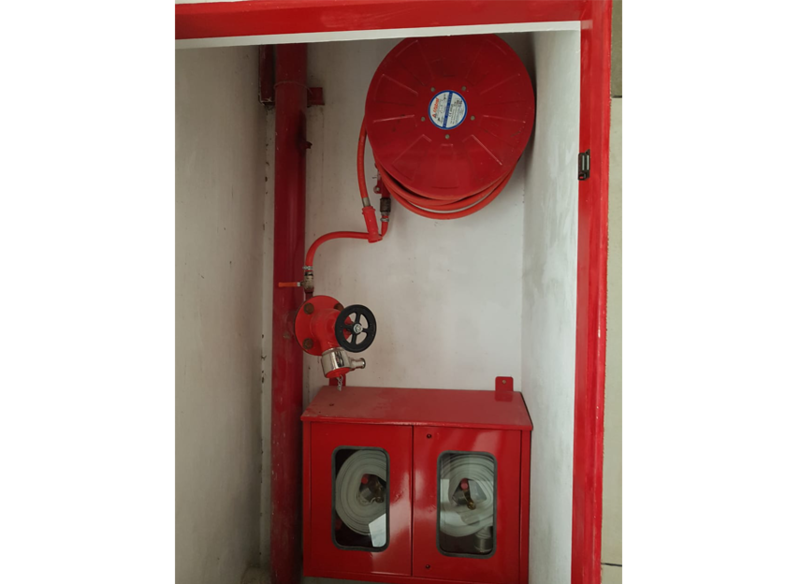 Wet risers are only required for buildings where the topmost floor is higher than 30.5 meters above the fire appliance access level. 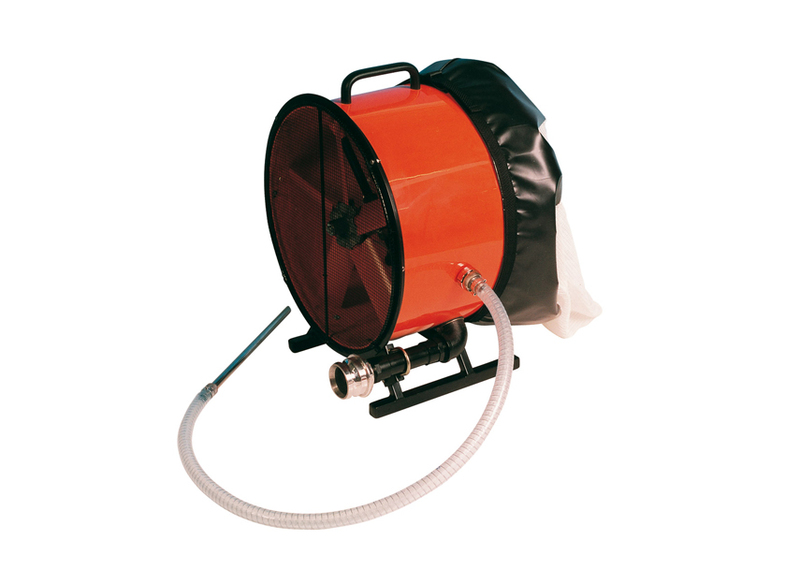 Wet riser system comprises duty fire pump with standby pump discharging into a 150mm diameter riser pipe with landing valves at each floor and to which canvas hose with nozzles cab be connected to direct the water jet at the fire. 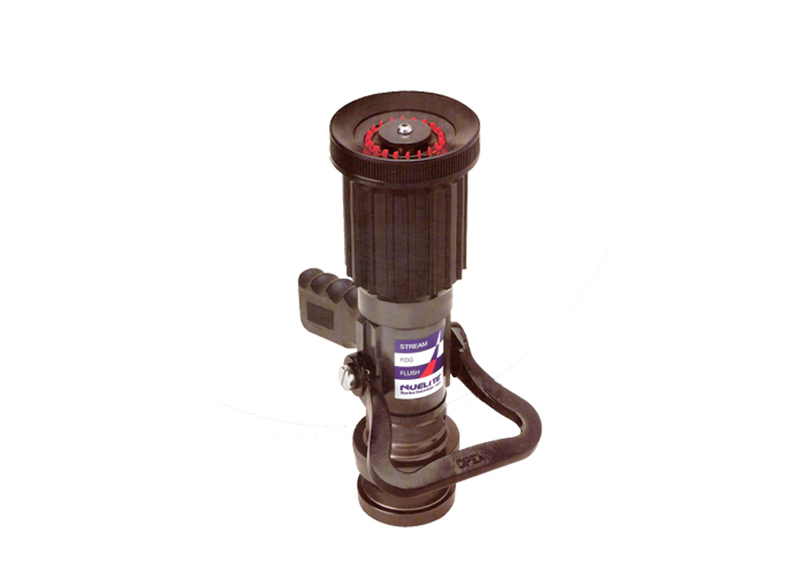 A jockey pump is usually provided to maintain system pressure. For high rise buildings, each stage of the wet riser should not exceed 70.15 meters. 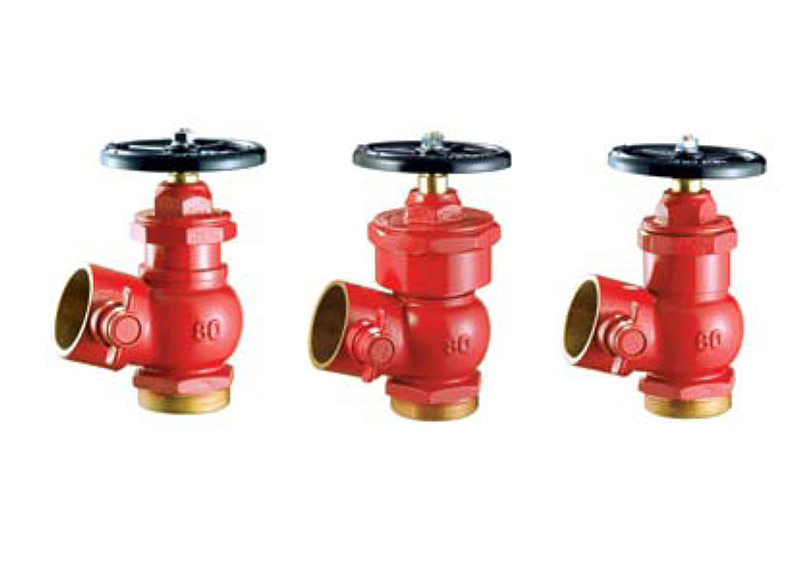 Although automatic sprinkler installations have been commercially available since 1882 and have since been installed in a steadily increasing range of industrial and commercial premises, is true to say that many facets of sprinkler protection are little understood. It may be worthwhile, therefore, to descri 0.+*-be briefly the basis principles involved. 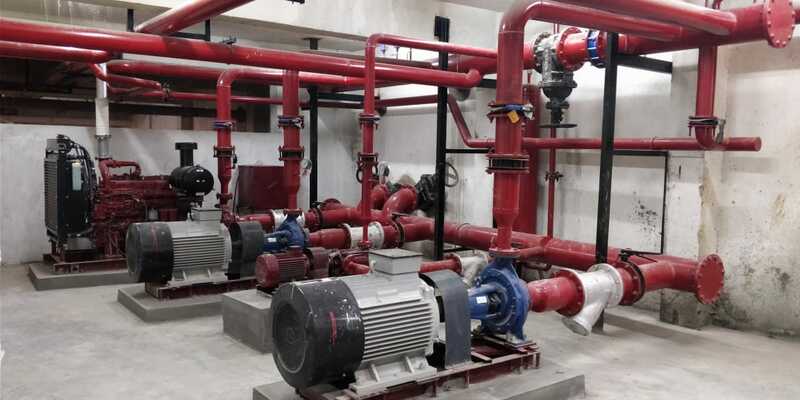 Sprinklers fixed on pipe work charged with water spaced at regular intervals installed throughout the protected building and are connected to a reliable water supply. 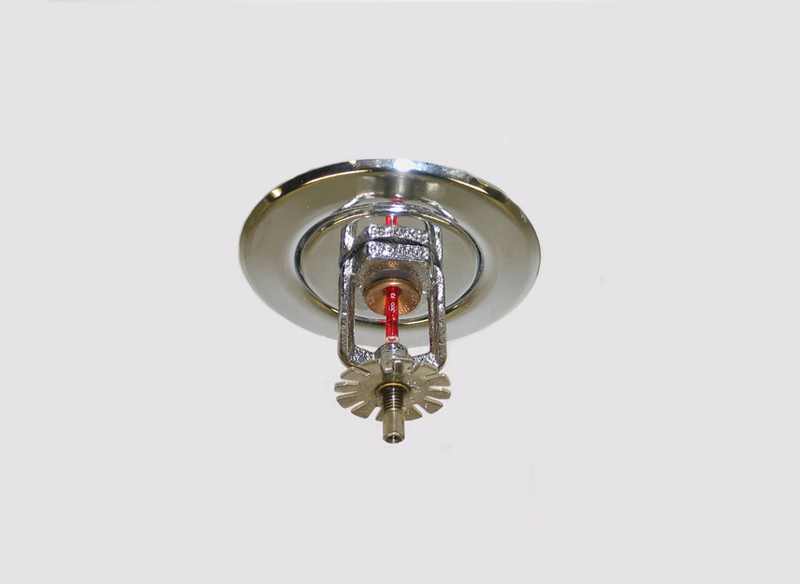 When a fire occurs, only the sprinklers in the immediate vicinity of the fire automatically operate the discharged water to control the fire. Sprinklers are not so sensitive that they operate at a stage when prompt manual first aid operations still have a chance of success. These factors limit the damage to very low proportions. 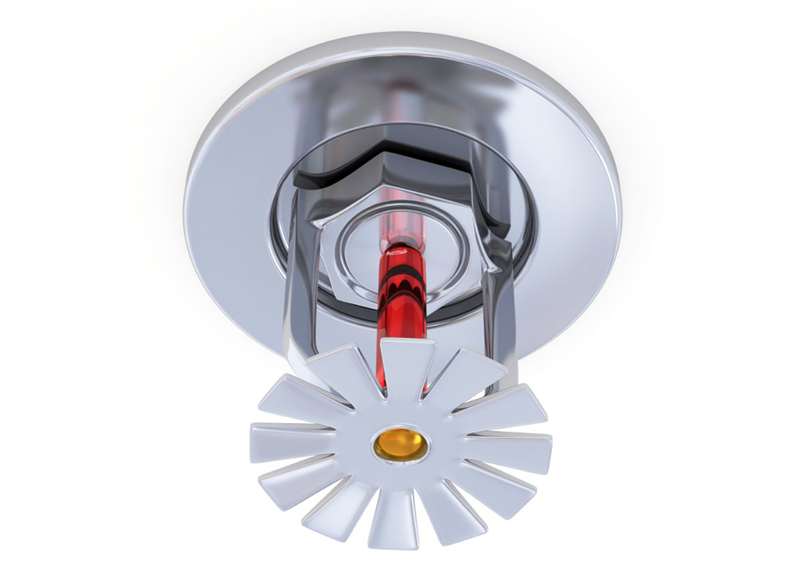 The operation of any one sprinkler causes an alarm to sound to bring help to the scene so that the water may be shut off as soon as the fire has been extinguished. 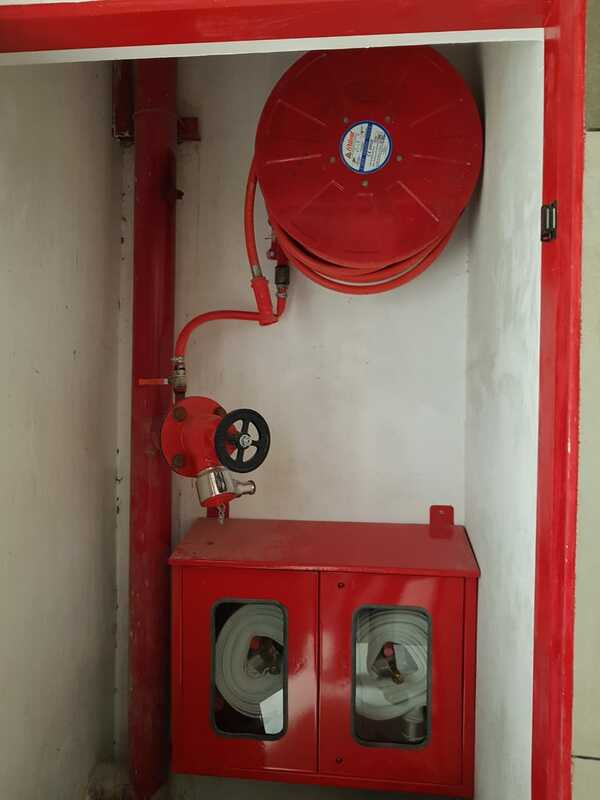 The value of the automatic sprinkler system in the eyes of Fire Insurance Companies whose estimate is based on actual calculations, is shown by the high annual rebates on fire insurance premium which are allowed to the owners of sprinklered premises. 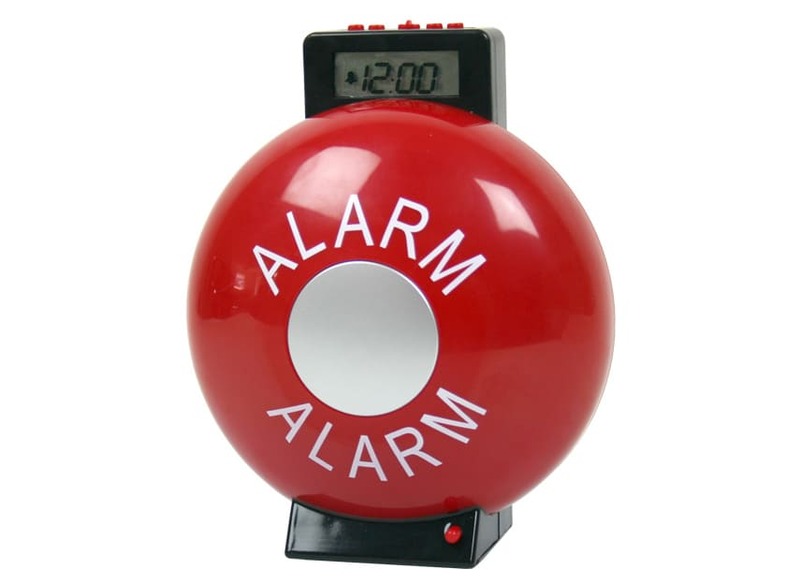 The rebates vary according to the risk and it is not possible to lay down any hard and fast rules. 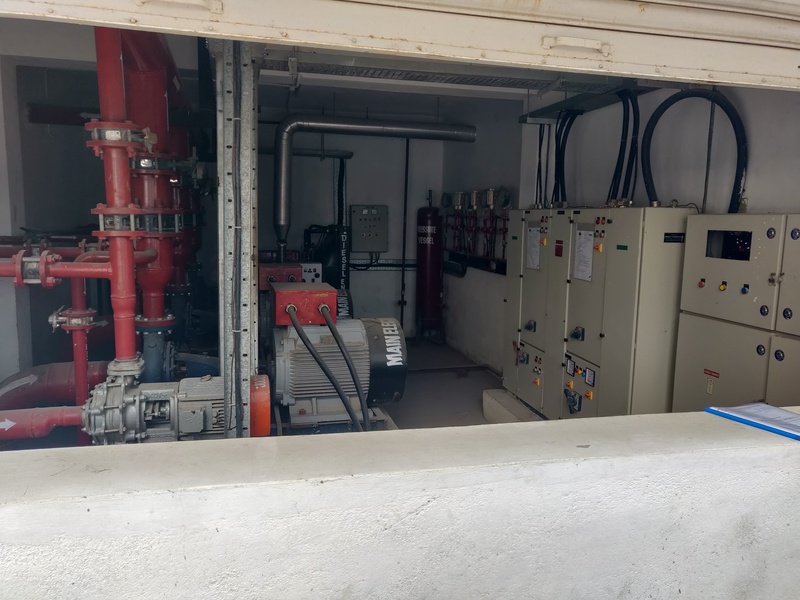 For approved installations conforming with the standards laid down by the Tariff Advisory Committee of India, the saving is seldom less than about 40% of the premium normally charged for the insurance of a corresponding risk without sprinklers. 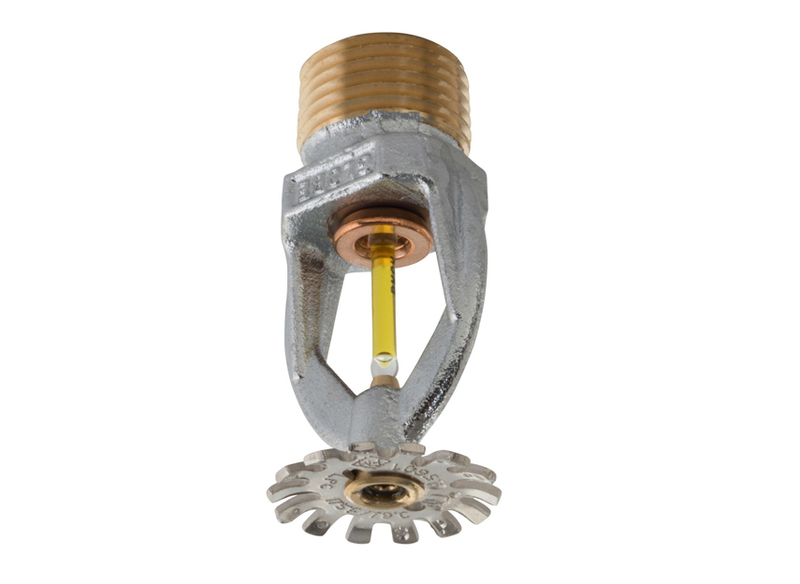 SPRINKLER – Standard Response, Standard Coverage ½" BSPT, Chrome Finish K-Factor 5.6. Temperature Rating – 57, 68, 79 Deg. 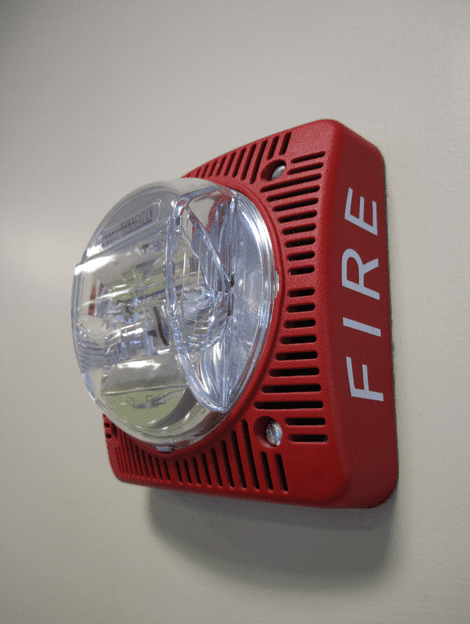 C.
For concealed sprinkler cover plate is with white finish or chrome finish. 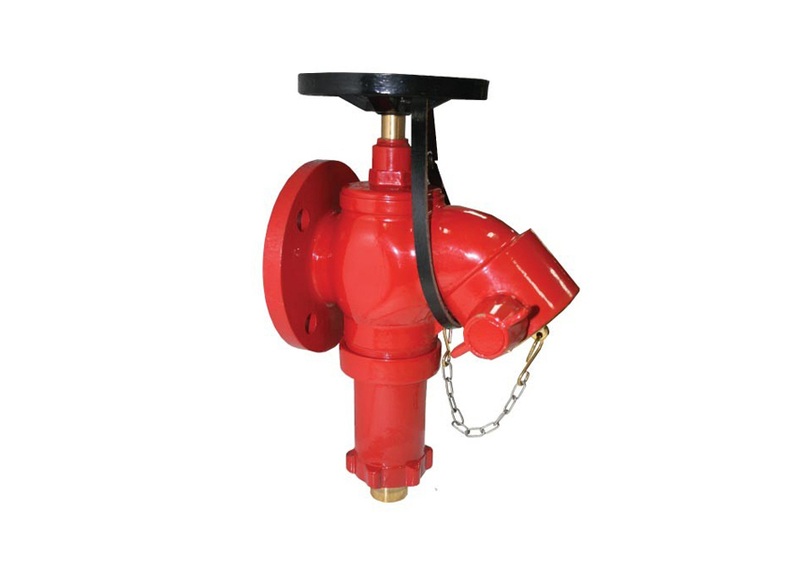 WET ALARM VALVE - Wet Water Sprinkler System suitable for operating temperatures from 4°C to 70°C. 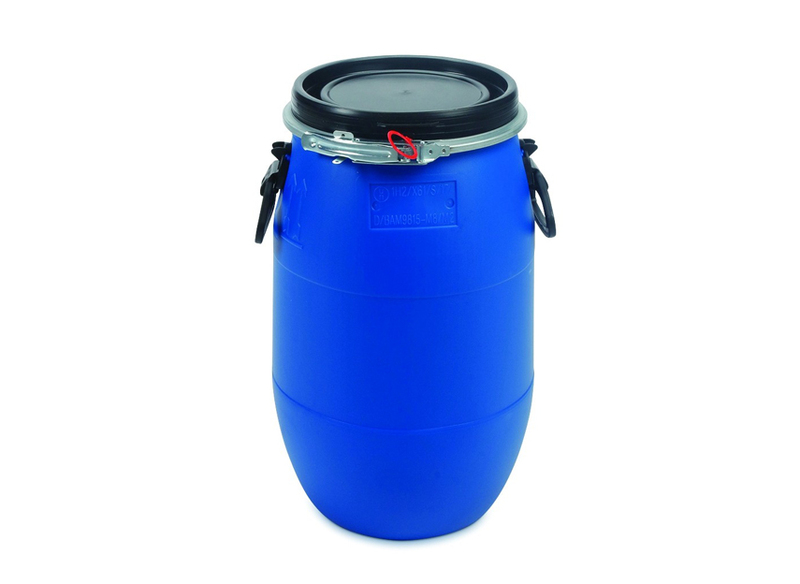 Can be installed inside building with good water supply. 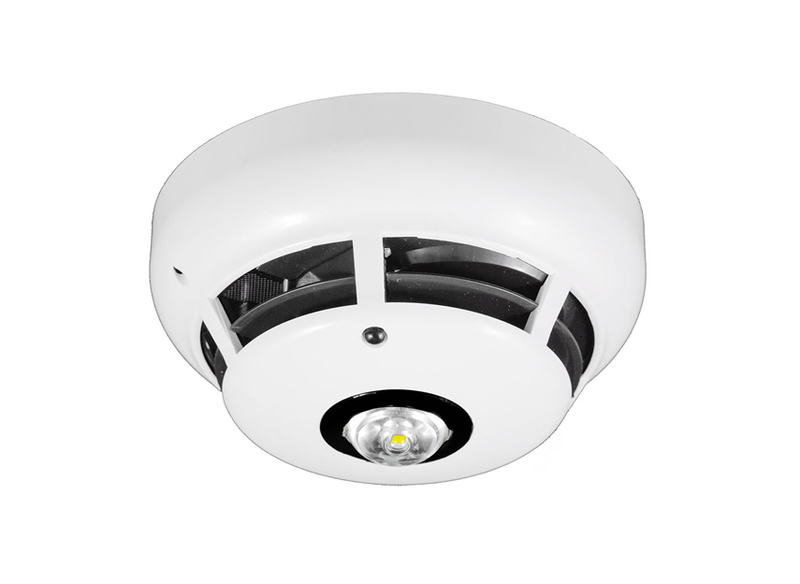 Suitable for high-rise buildings, public places, storerooms, hotels, shopping centers, hospitals, offices etc. 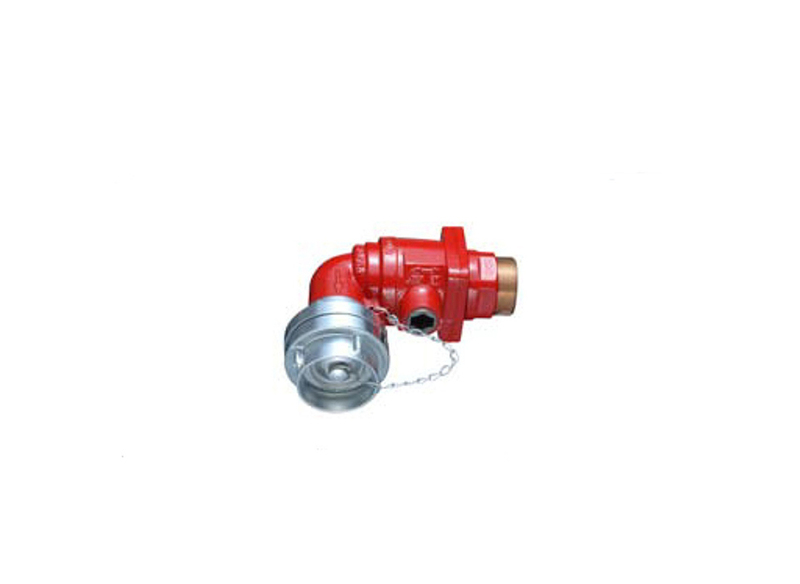 DRY ALARM VALVE - is a key component of a Dry Water sprinkler System. The pipe is usually filled with compressed air and Nitrogen. Operating temperature is below 0°C or higher than 7°C. 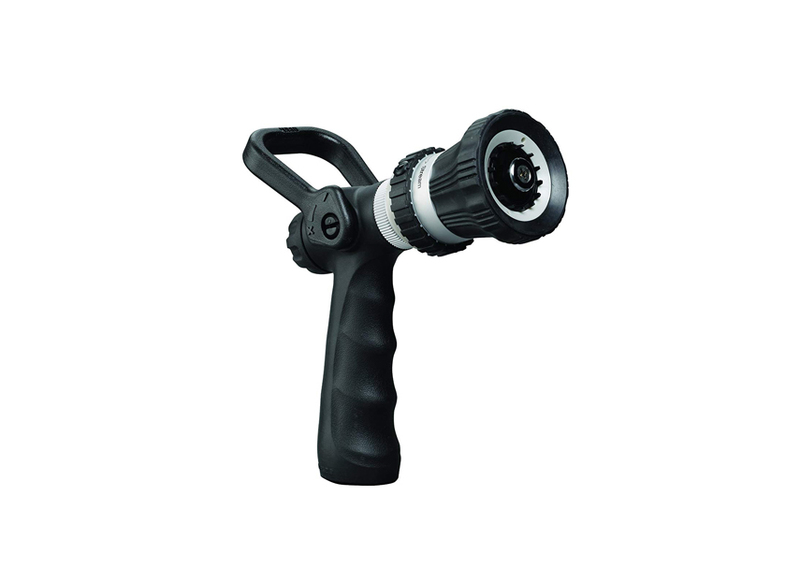 Medium Velocity Water Spray Nozzles has an external deflector, which discharges water in a directional cone shaped pattern of small droplet size. The water is uniformly distributed over the surface to be protected. 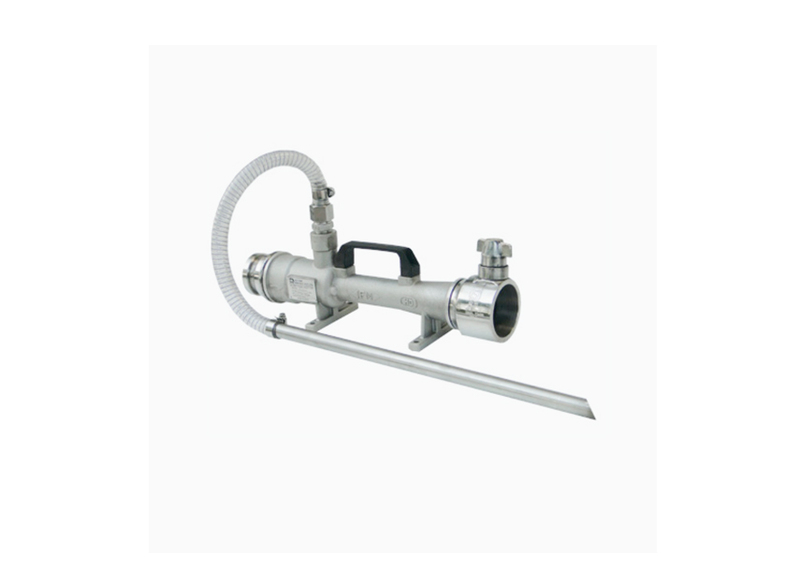 The nozzle is used in deluge water spray system for special hazard fire protection application. 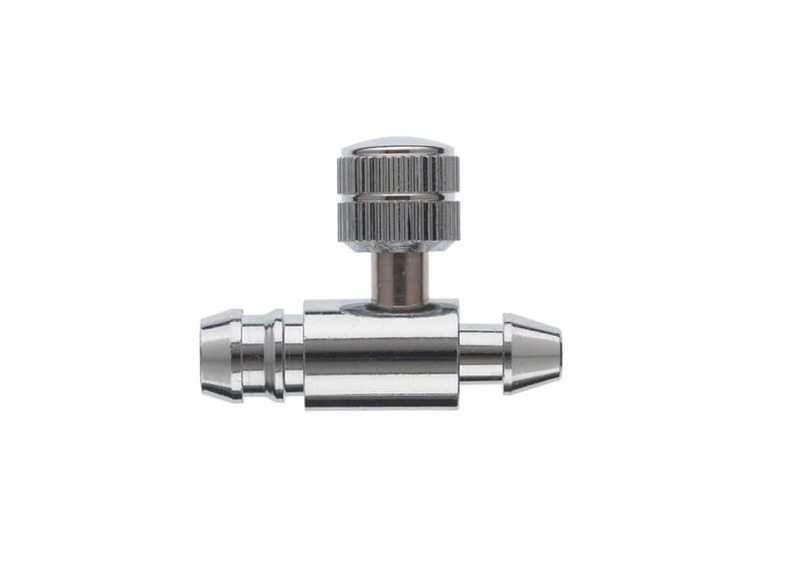 As the design and intent of specific water spray system may vary considerably, a MV nozzle is made available in several combination of orifice sizes and spray angles. 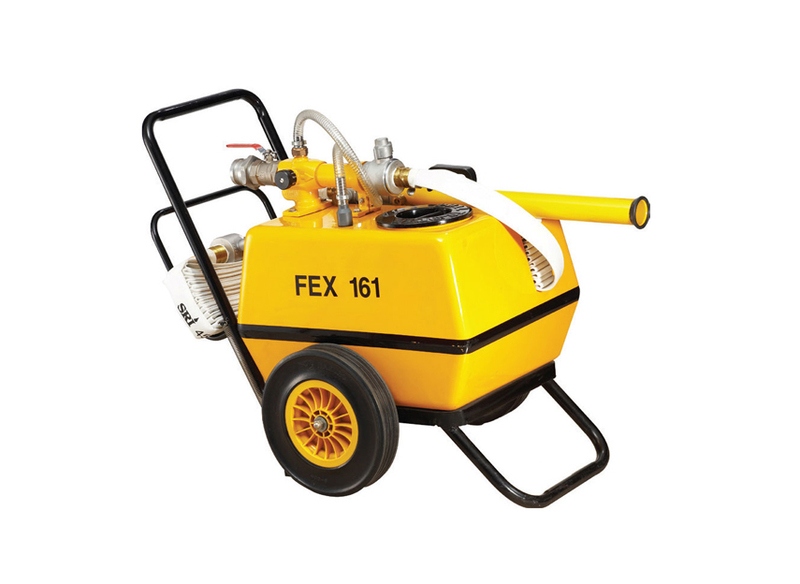 The minimum desirable pressure to achieve a reasonable spray pattern is 1.4 Kg./Sq.cm. The water distribution pattern as shown in the graph in following pages is at an average pressure of 2.0 Kg/Sq.cm. The change in pressure between 1.4 to 3.5 Kg./sq.cm. does not affect considerable change in spray angle. The spray pattern shown is with indoor application. System designer must consider wind velocity while designing the system for outdoor application. Field obstruction if any affecting the spray pattern of the nozzle must also be considered. 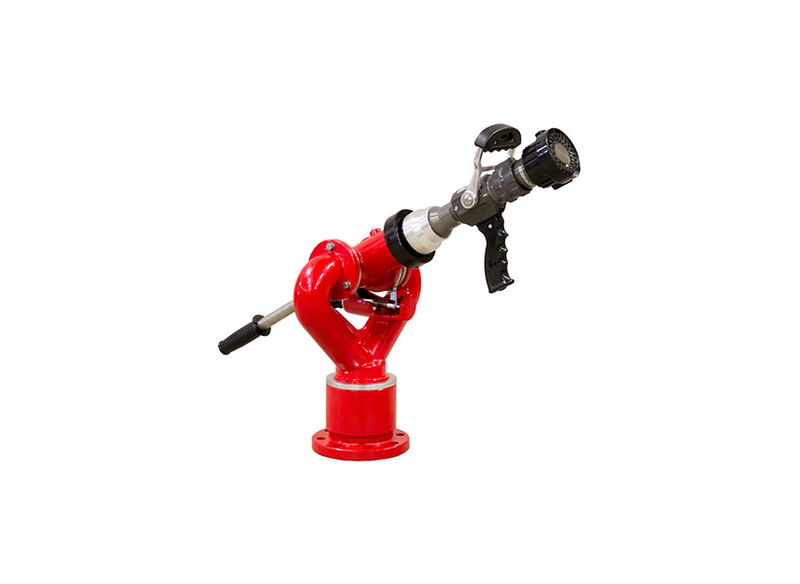 The nozzle may be oriented to any position which is deemed necessary to cover the hazard. Use Teflon tape or soft thread sealant on male thread of the nozzle. The nozzles must be hand tightened into the fitting. 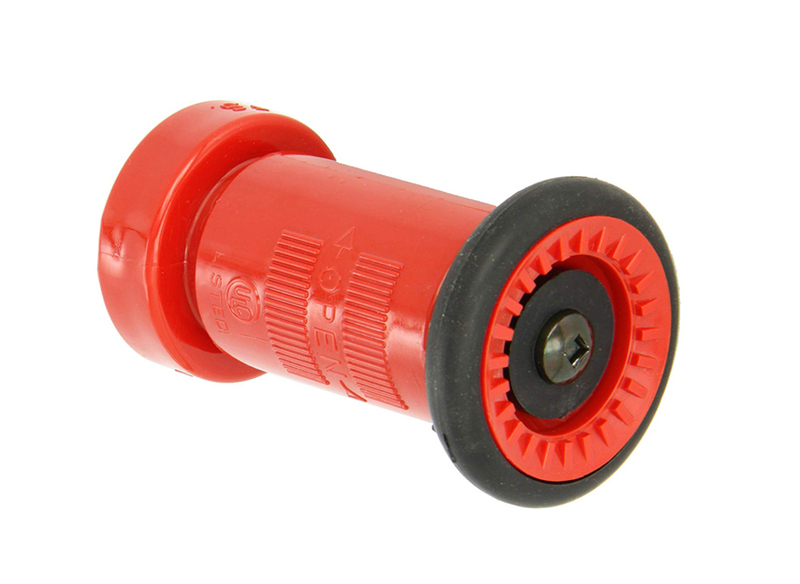 LIFECO make wrench must be used to tighten the nozzle unit into the fitting. 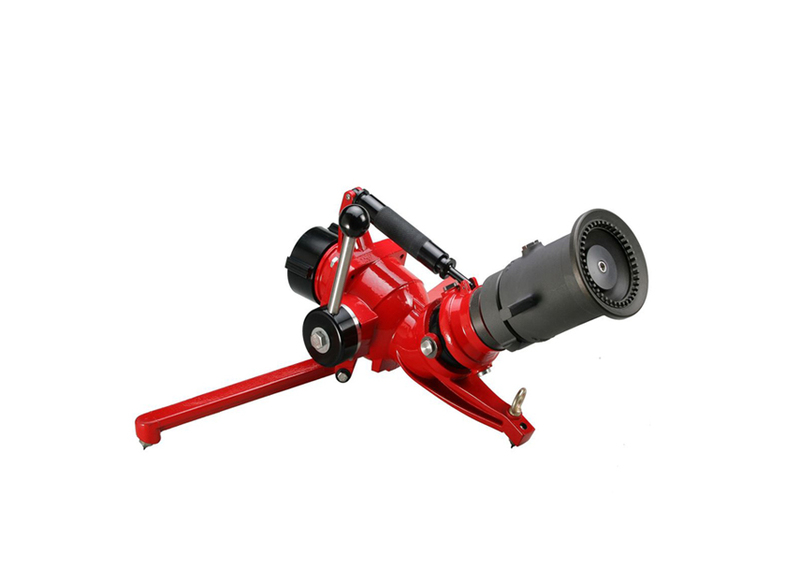 Excessive tightening torque may result into serious damage to nozzle arms and the deflector which may affect spray pattern of the nozzle and it's performance. It is recommended that water spray system be inspected regularly be authorized technical personnel. 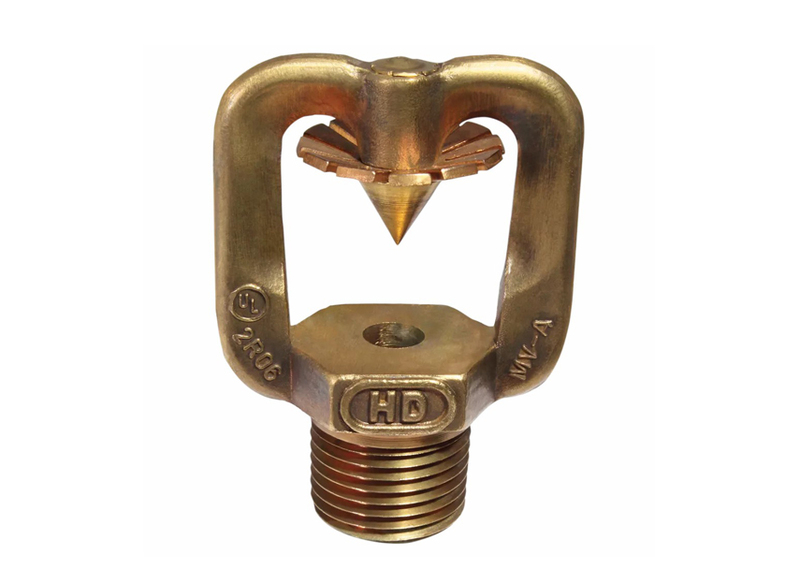 The nozzle must be checked for corrosion, external and internal obstruction, blockage if any. The nozzle should be cleaned or replaced if required. 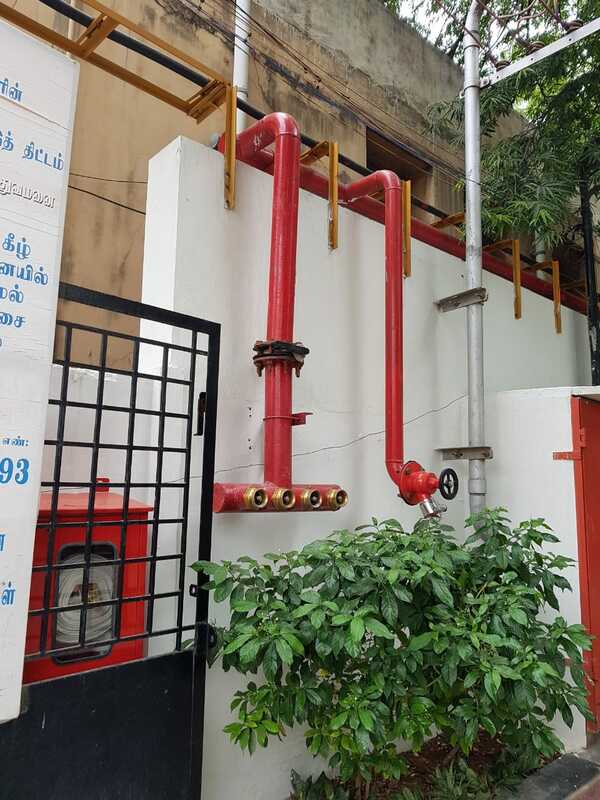 The system must be operated with optimum water flow at least twice in a year or as per the provision of NFPA or local authority having jurisdiction. 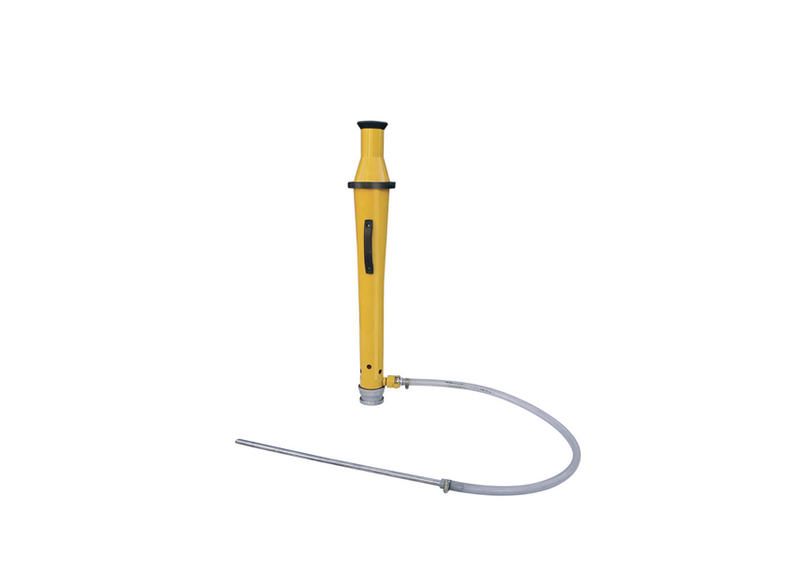 Water/Foam Nozzle – produce secondary aspirated (sometimes non aspirated) foam which have expansion ratio of 1:3 to 1:4 with Female BSP Thread Inlet. 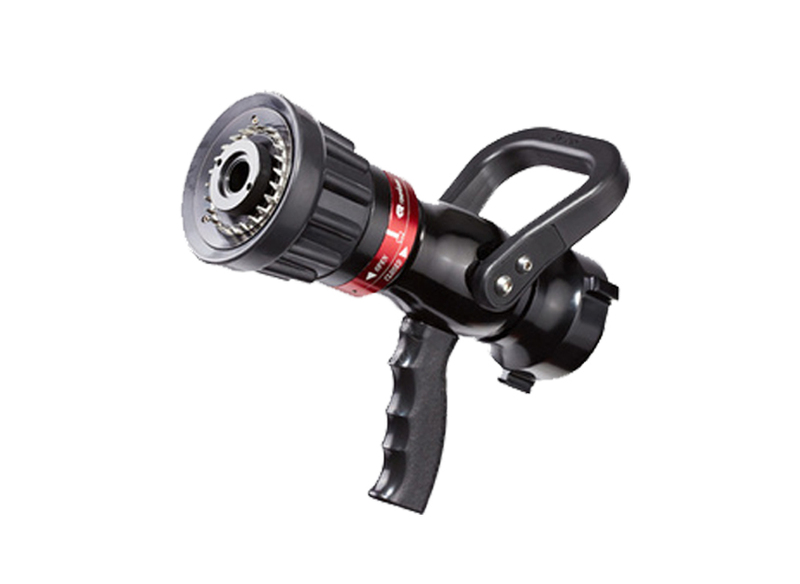 FAST ACTION NOZZLE – Dual pressure fire fighting nozzle, lightweight, made of aluminium extrusion, hand controlled, anodized for resistant of corrosion and wear, having arrangement for detent flows, to shut off pressure assistance flush without shutting down, slide type valve for turbulence free flow moulded rubber, teeth for full fill, power for gasket gribber inlet screen, pistol type grip for holding, flow straightness for quality jet stream and knob provision for switching from standard 100 PSI to emergency low pressure operation, suitable for flow of 900 lmp at 7 kg/cm2 with inlet of 63mm size. Weight 3.2 kg approx. 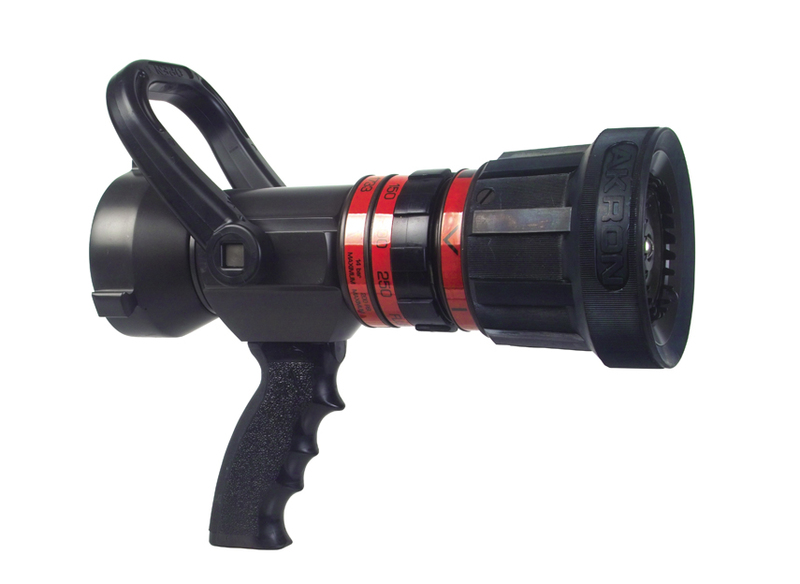 AQUAJET MULTIPUPOSE NOZZLE – pistol-grip fire fighting, hand-held nozzle made out of light weight alu. 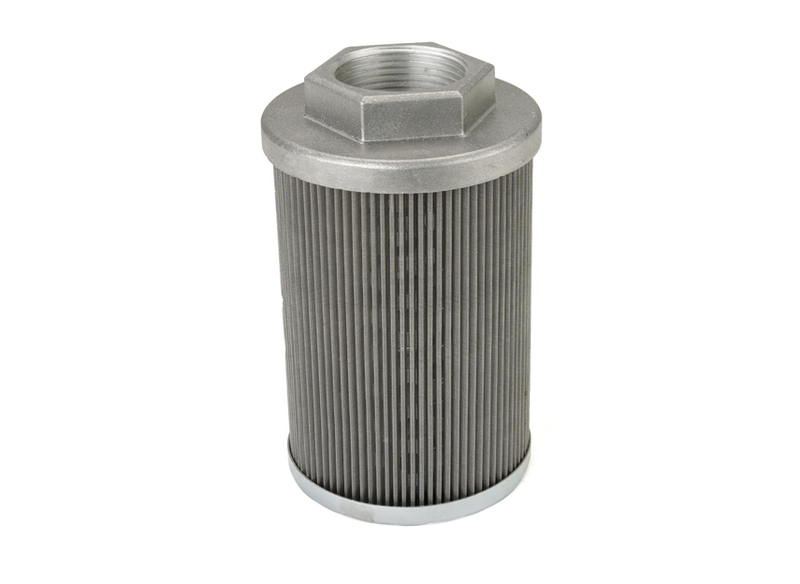 Alloy duly hard-anodised with solid bore tip and additional advantage of fog pattern at the same time. 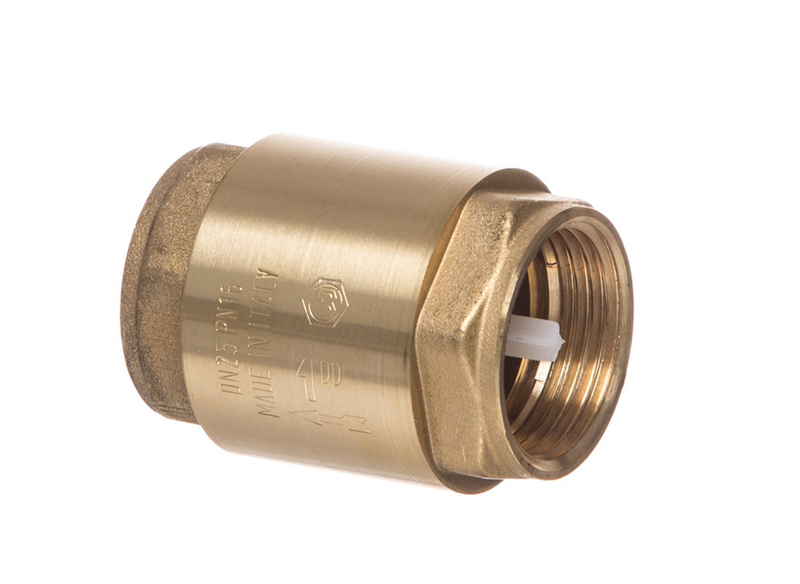 Nozzle 2 ½ “ (M) inst. / 1 ½ “ (F) thread / 2 ½ “ (F) thread. Approx. weight 2.25 kg. 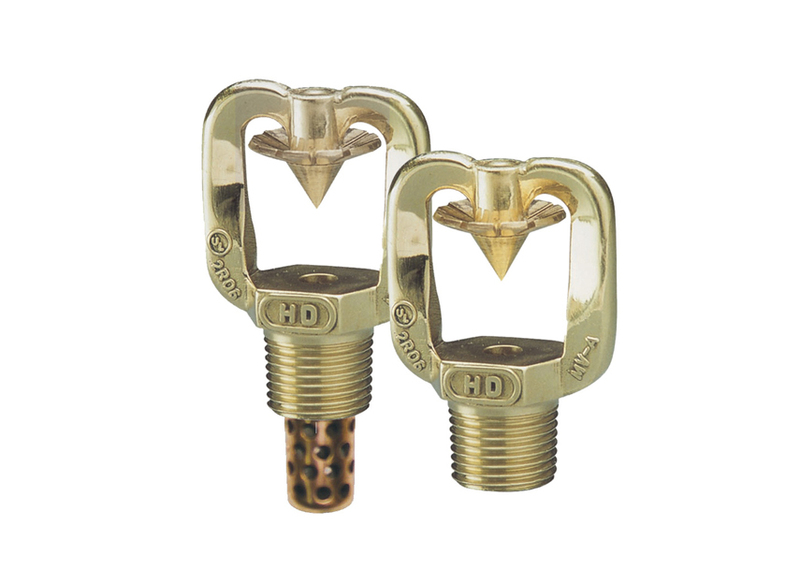 MEDIUM VELOCITY SPRAY NOZZLE – Made of Brass or SS with ½" BSPT end connections. 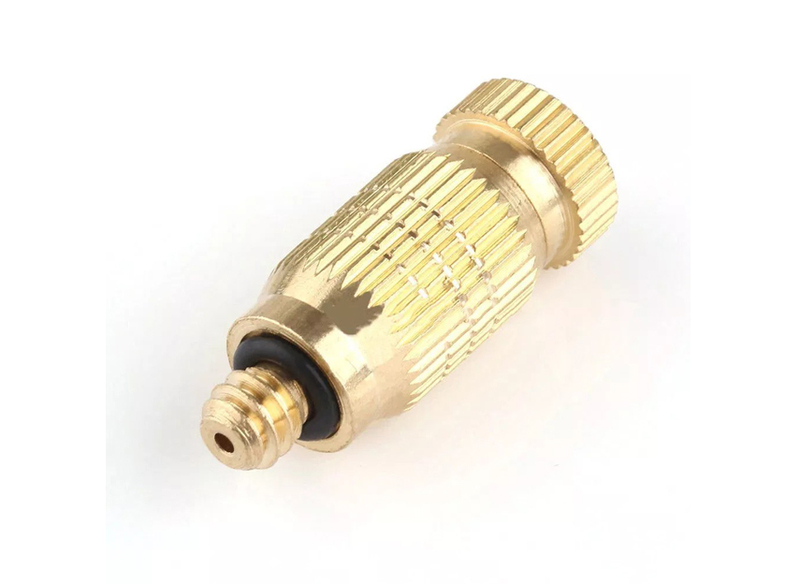 HIGH VELOCITY SPRAY NOZZLE – Made of Brass with ¾" BSPT end connections. Fog Nozzle (G.M.) having arrangement of jet, high pressure fog and complete shut off with 63mm male inst. Inlet, duly chromplated as per IS: 952. London Pattern (Hand Controlled) Nozzle (G.M.) 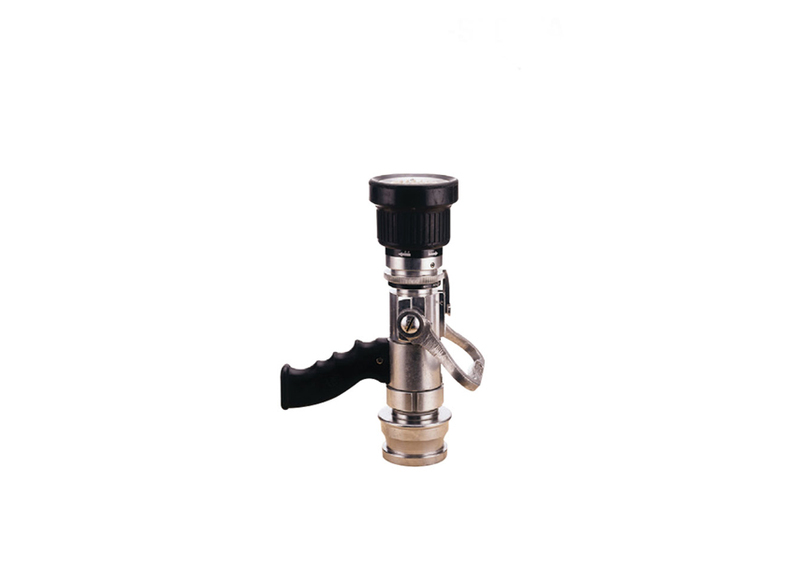 having arrangement of Jet, Spray, Adjustable water curtain and shutoff with 63mm male inst. Inlet, duly chromplated. 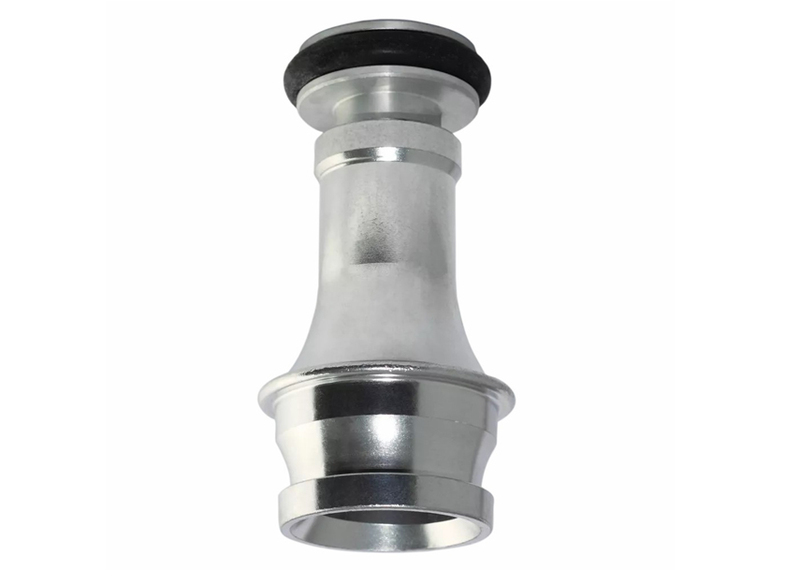 Jumbo / Mayura Curtain Nozzle capable of giving 180 deg. 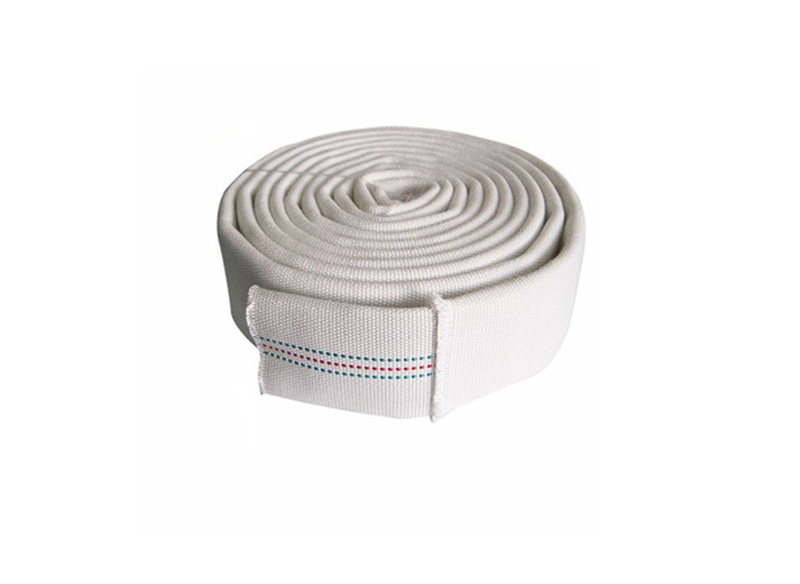 Curtain spray to 20' to 25' feet height with 63mm G.M. male inst. Inlet. 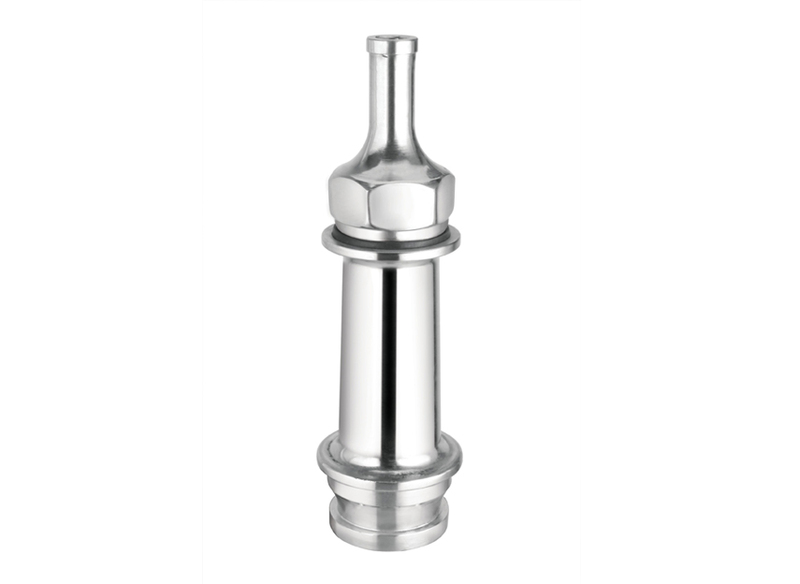 Diffuser Nozzle (G.M.) 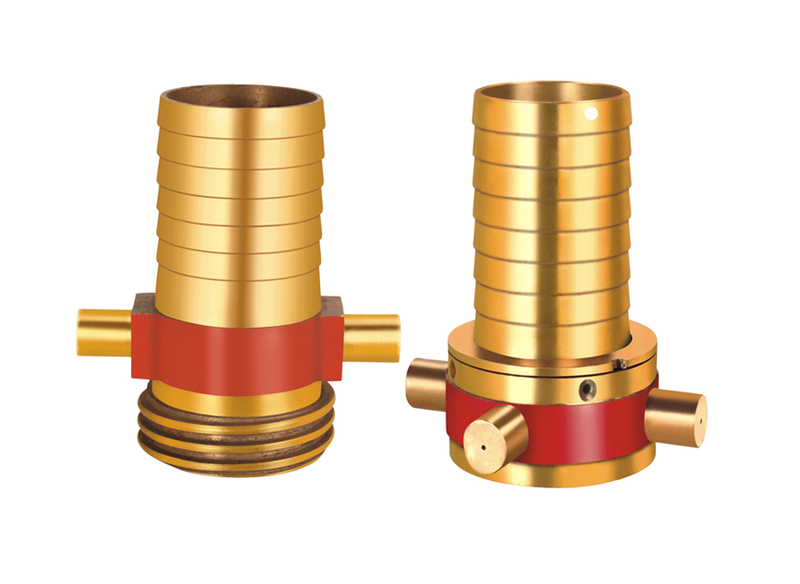 Navy Type Nozzle with 63mm Male or Female inlets having arrangement of Jet, spray and shutoff. 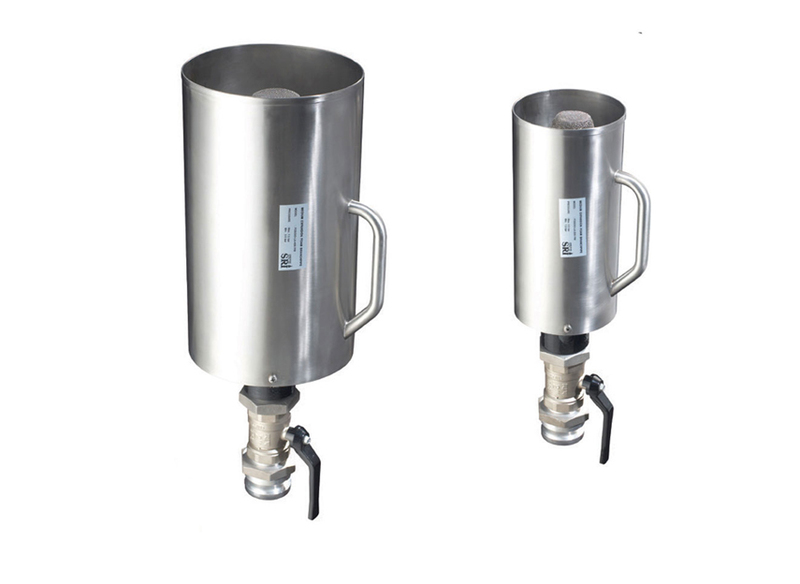 Superjet Water/Foam Monitor – Stand Post Type made out of IS:1239 Seamless Steel tubes, Hot dip galvanized, flanged inlet, G.M. 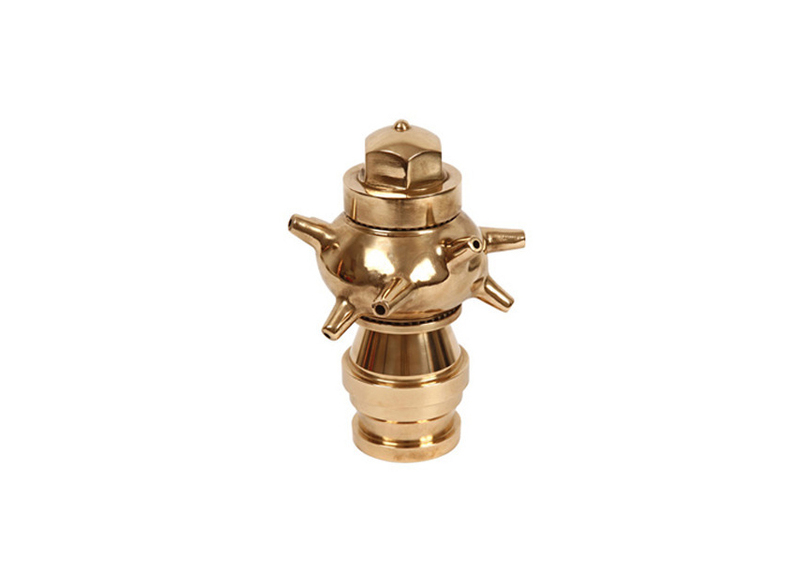 Ball bearings Swivel joints with brass locking arrangements, permitting 360 deg. Horizontal, 80-45 deg. 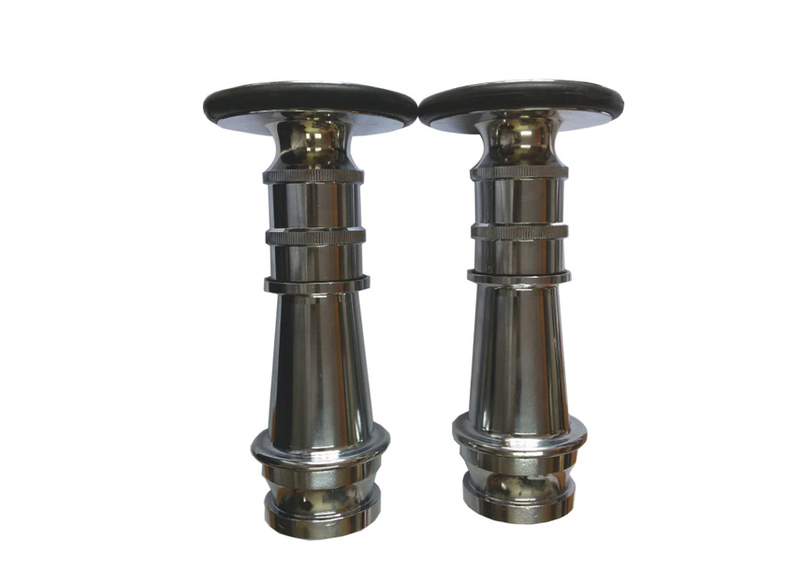 Vertical traverse, with Aluminium Alloy Foam Nozzle with pickup tube as per IS:8442 with ISI Mark. 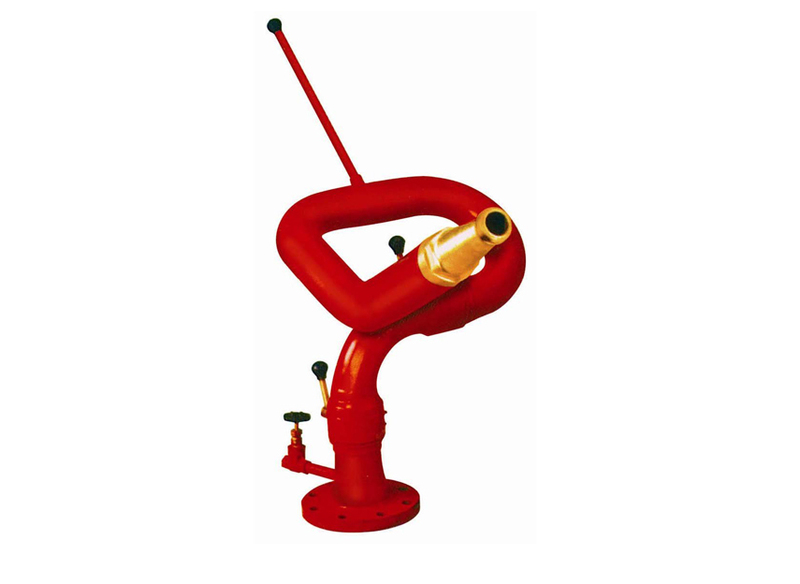 GROUND MONITOR – made of light weight (18kg) aluminium alloy with nozzle for waterjet and universal nozzle for waterjet, fog, foam. 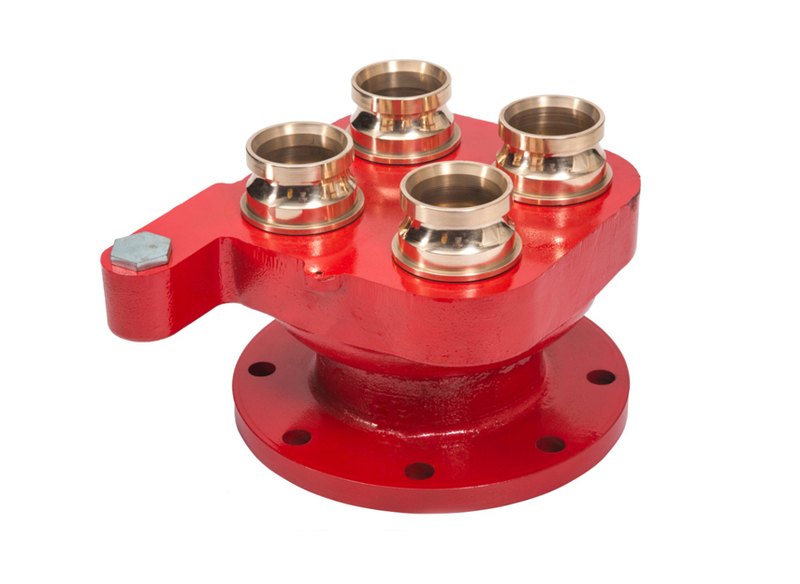 Universal joint for free vertical and horizontal rotations fitted with three non return valve inlets. Controlled Dividing Breech (G.M) with Control Valve having 1 no. 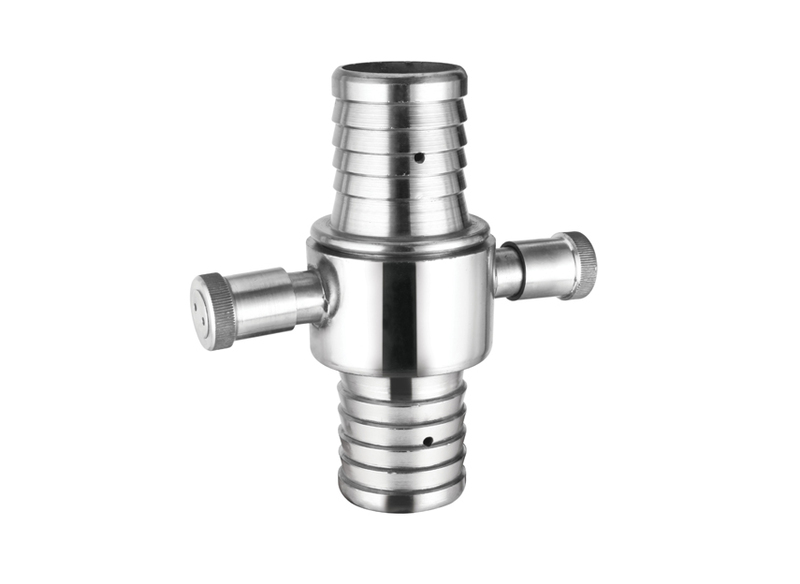 63mm Male Inst. Inlet & 2 nos. 63mm Female Inst. Outlet with control. 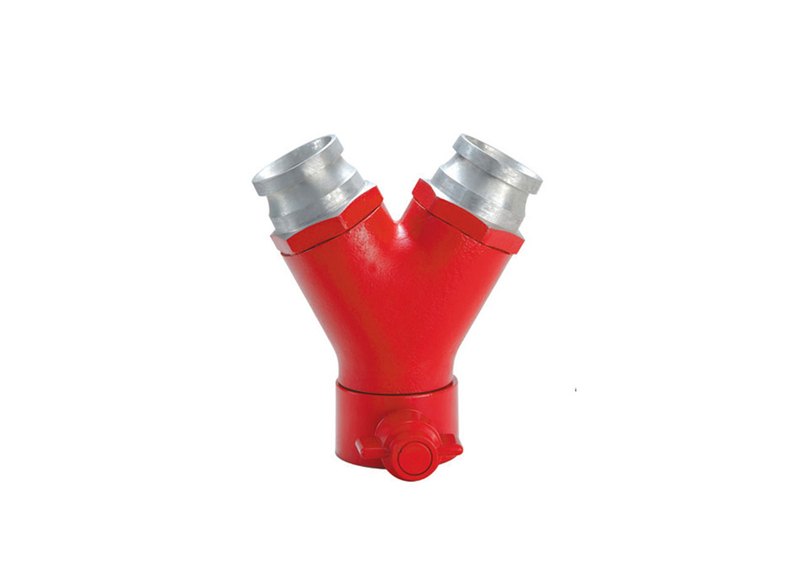 2 way Fire Brigade Inlet Cast Iron (C.I.) having 2 nos. of 63mm Male Inst. 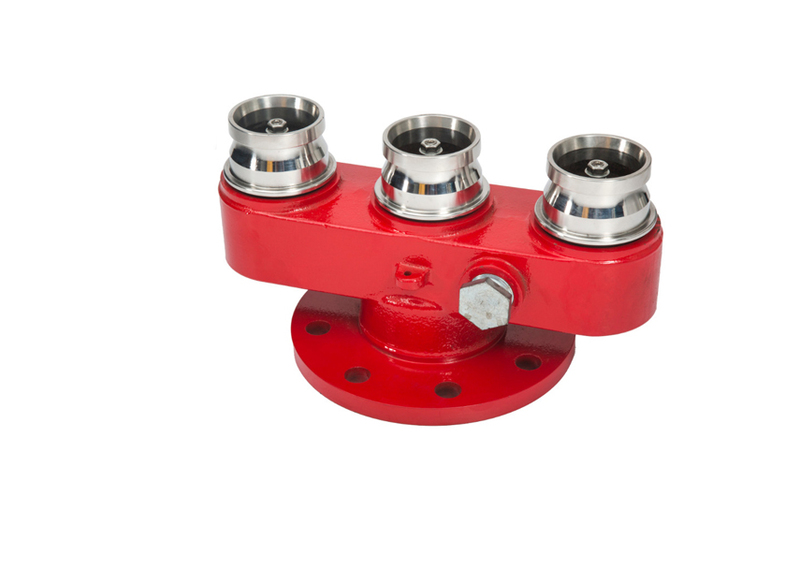 NRV Inlet with flange. 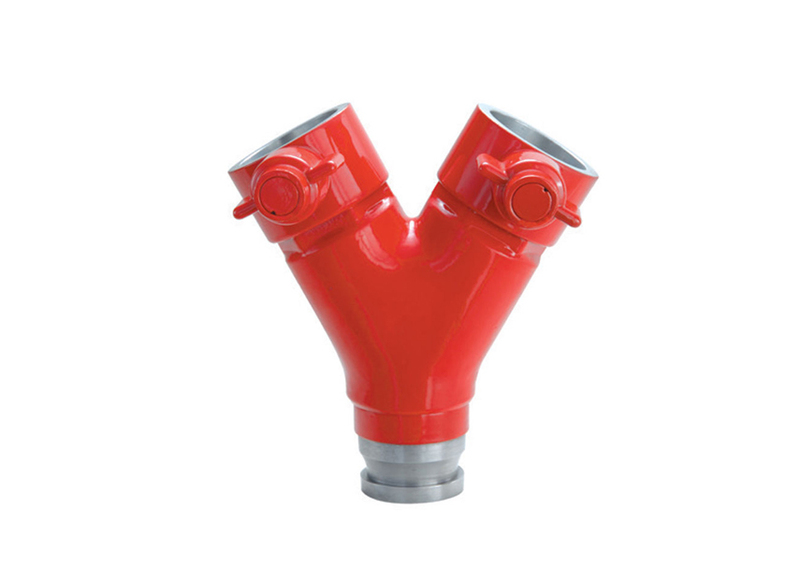 3 way Fire Brigade Inlet Cast Iron (C.I.) having 3 nos. 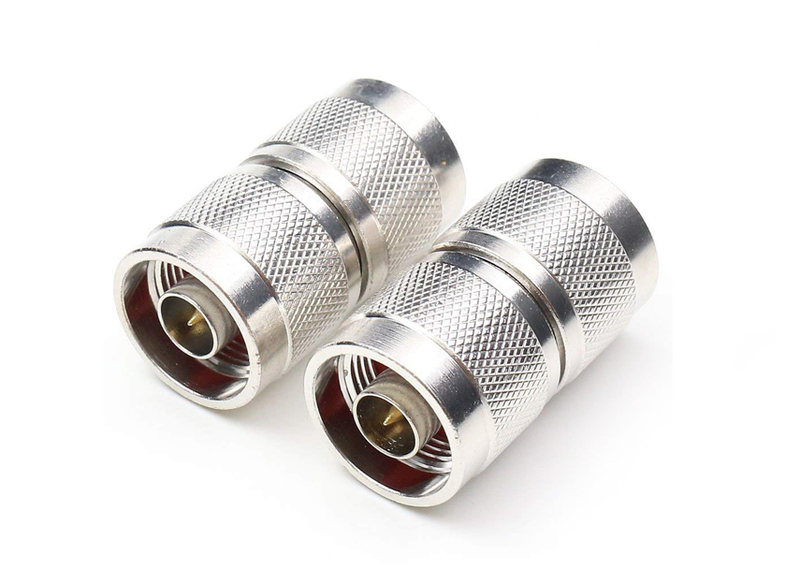 63mm Male Inst. 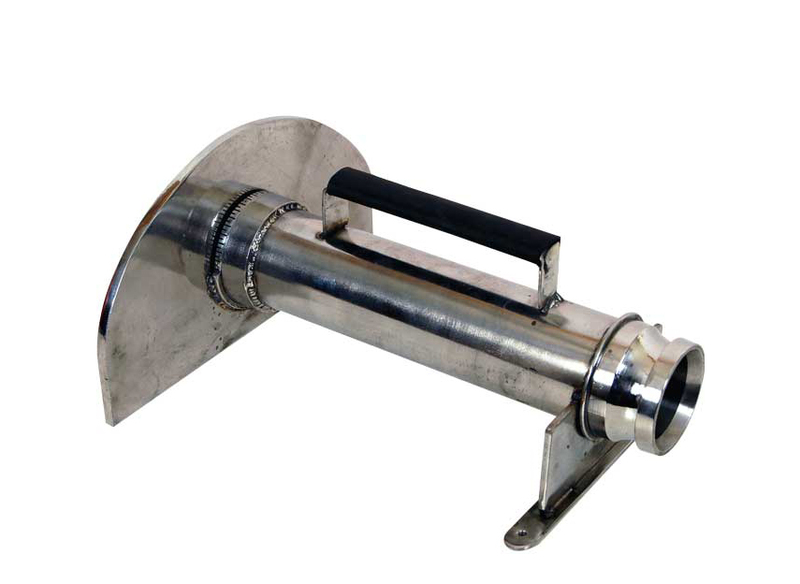 NRV Inlet with flange. 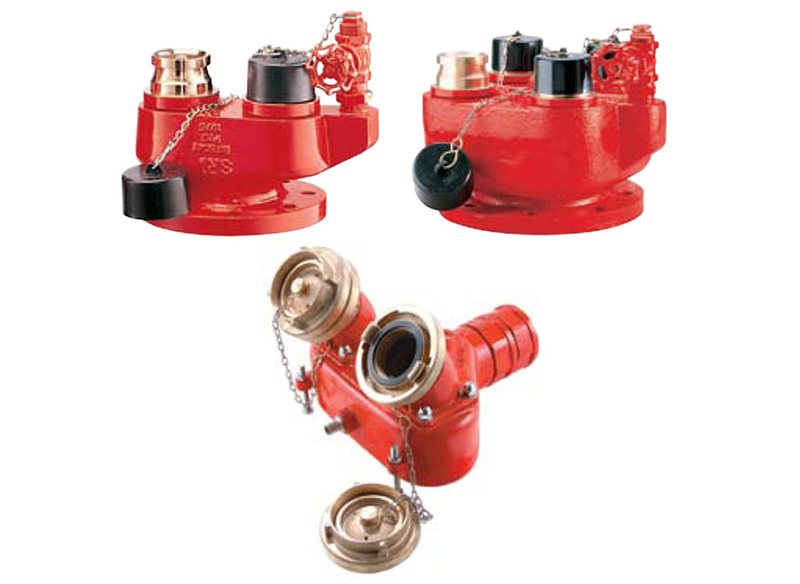 4 way Fire Brigade Inlet Cast Iron (C.I.) having 4 nos. 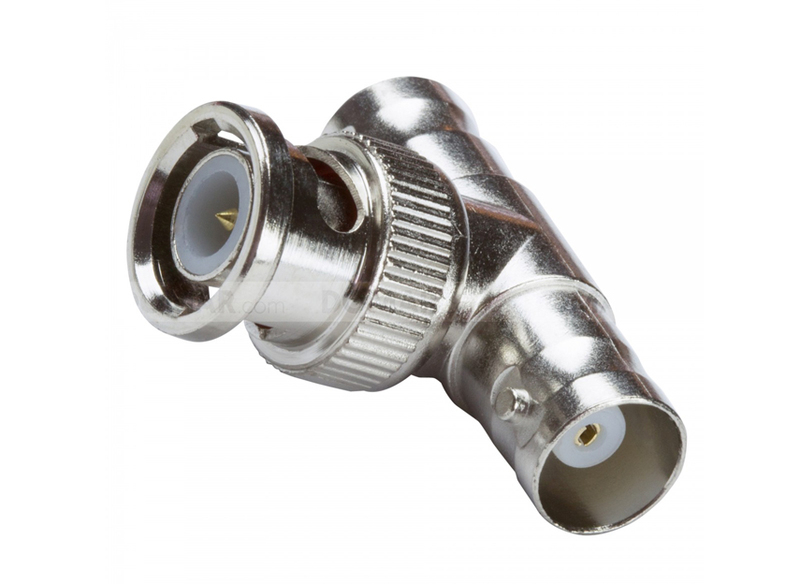 63mm Male Inst. NRV Inlet with flange. 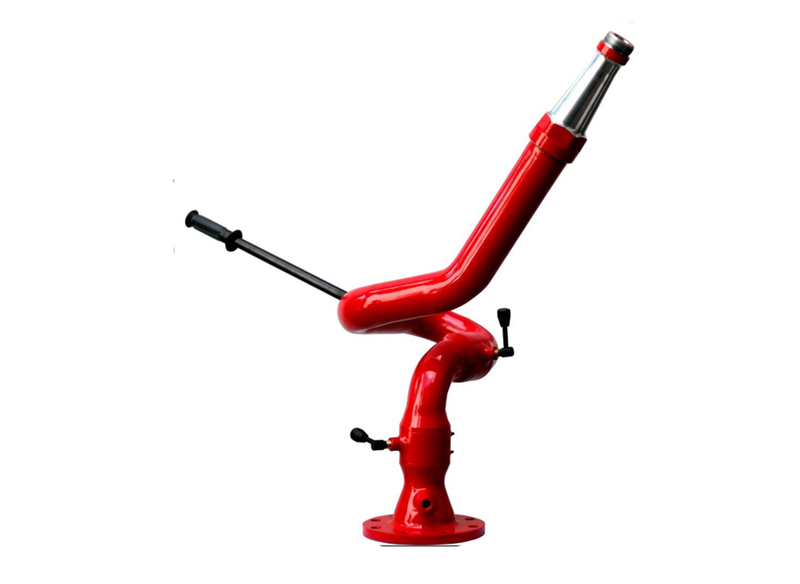 Foam Making Branch Pipe FB2 – Made from Aluminium Alloy with 63mm G.M. Male Inst. Inlet with Pickup tube. 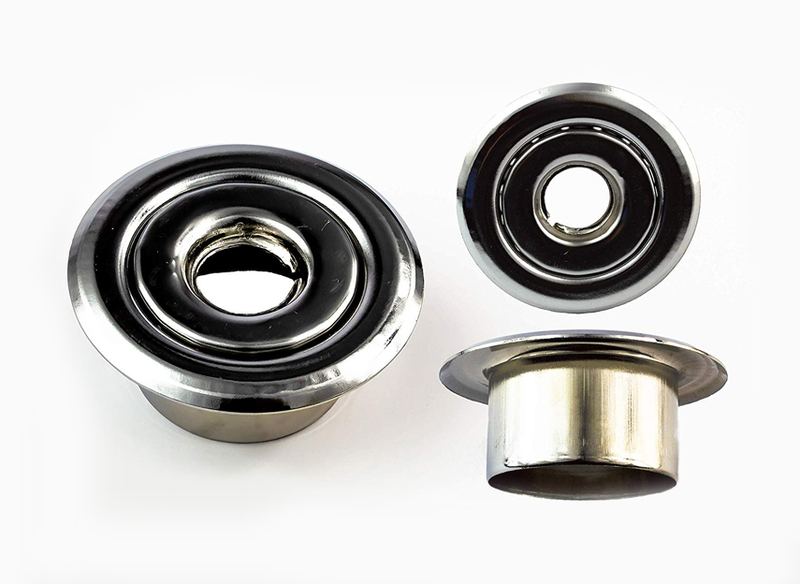 Portable Inline Inductors – Made from Aluminium Alloy with 63MM G.M. Male Inst. Inlet in one hand and Female Inst. Outlet in other hand with Pick-up tube. 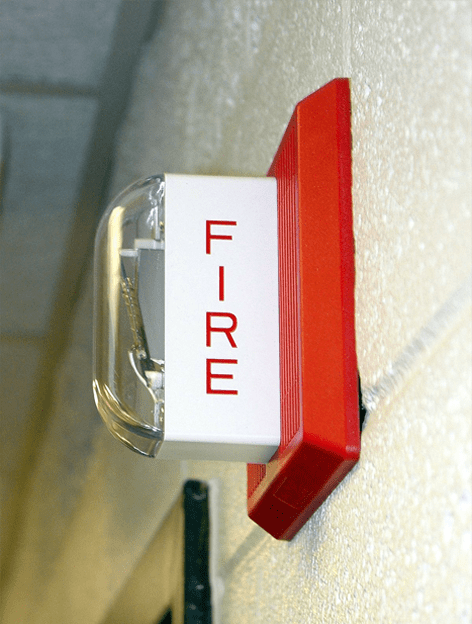 Fire detection and alarm systems are designed to provide warning of the outbreak of fire and allow appropriate fire fighting action to be taken before the situation gets out of control. 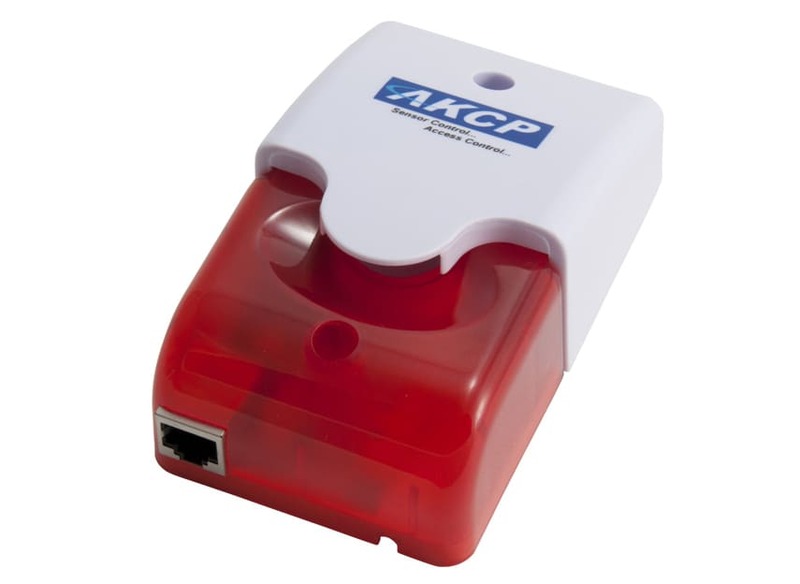 As all systems are designed primarily to protect life, property, this places a great responsibility on the designer because each building will present a different set of problems in relation to the risk of fire and fire spread.Each fire detection and alarm system therefore must be specially designed to meet the requirements for each building. 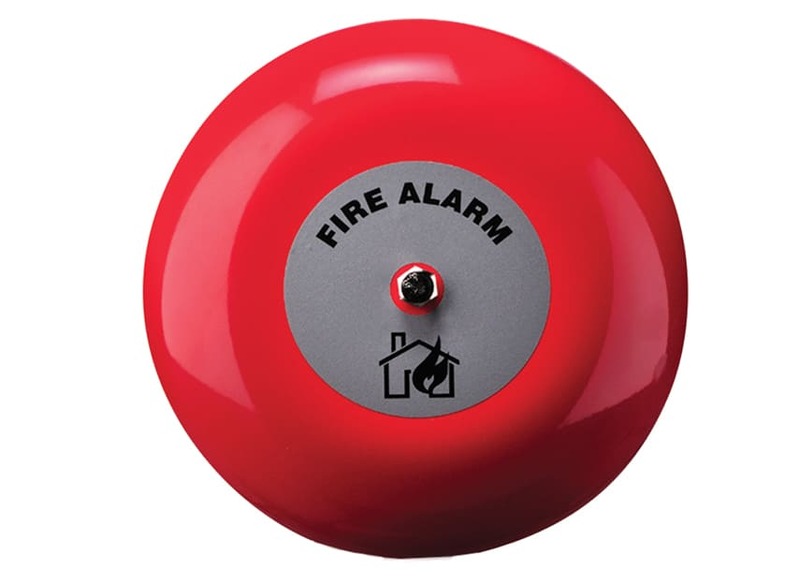 The fire alarm system can either be operated automatically or manually. Automatic operation is via the detectors whereas manual operation is by breaking the glass at the manual call point (break glass unit). 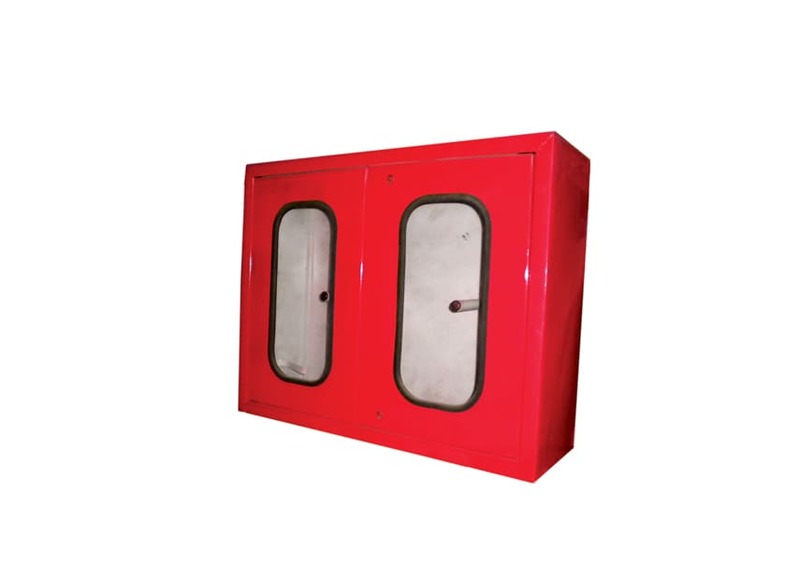 To override the automatic operation of this system in case of its failure during a fire, use the nearest unit of the manual break glass. 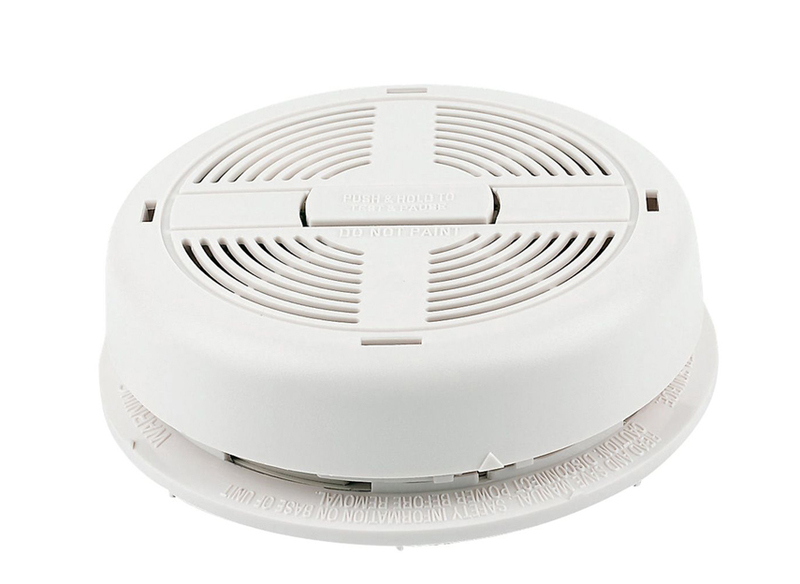 IONISATION SMOKE DETECTOR – Conventional type ionization smoke detector with mounting base. 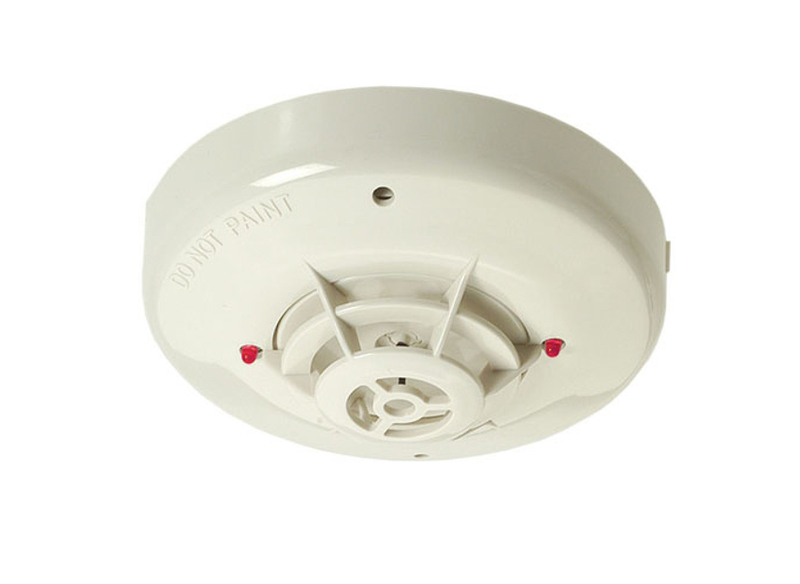 OPTICAL SMOKE DETECTOR – Conventional type optical smoke detector with mounting base. 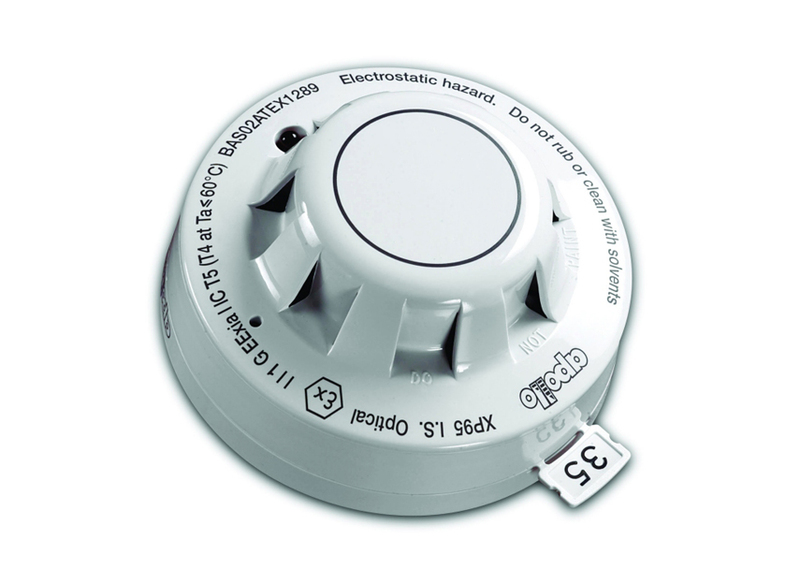 HEAT DETECTOR – Conventional type heat detectors 60 Deg. C with mounting base. 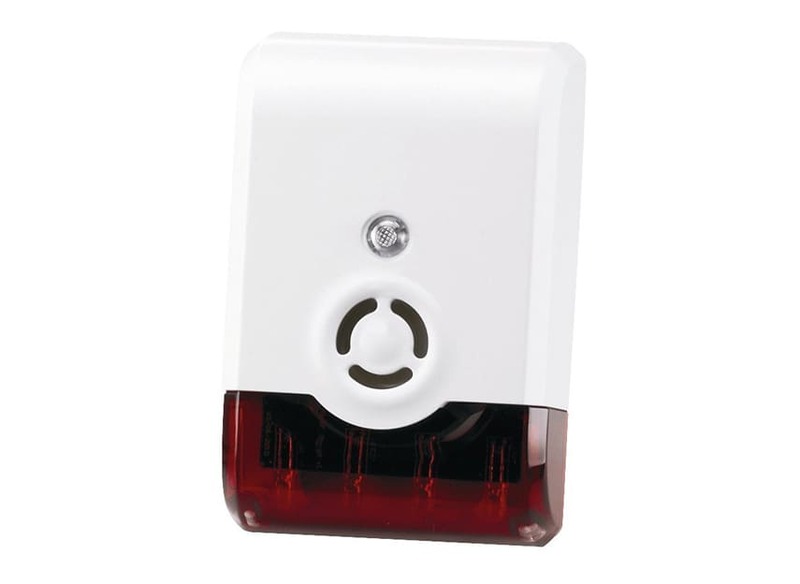 OPTICAL & HEAT DETECTOR – Conventional type multi sensor optical and heat detector with mounting base. 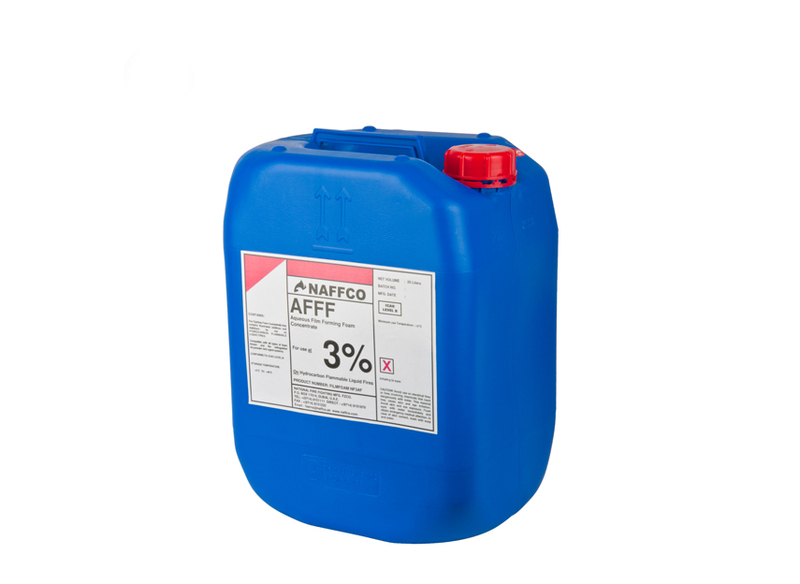 NAF PIV Fire Extingsuishers can be safely used when a clean, electrically non conductive media is essential or desiarable. 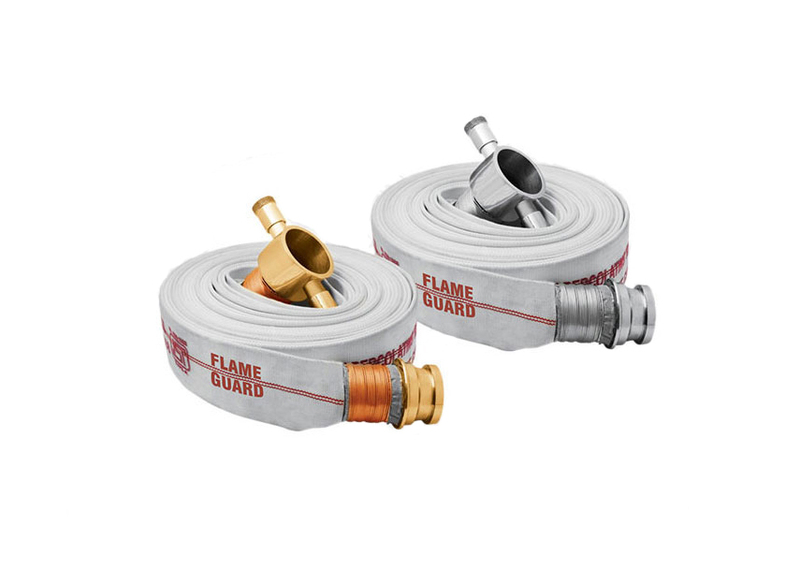 It is efficent on class A,B and C fires and leaves no residue after discharge. NOVEC 1230 DOES NOT Remove or reduce Oxygen! NOVEC 1230 is a synthetic/chemical fire suppression gas and extinguishes a fire by removing the free radicals or heat elements from the fire triangle. (Oxygen, Heat and Fuel). The concentration of Novec 1230 is typically between 5.3% to 5.6% of the room volume. 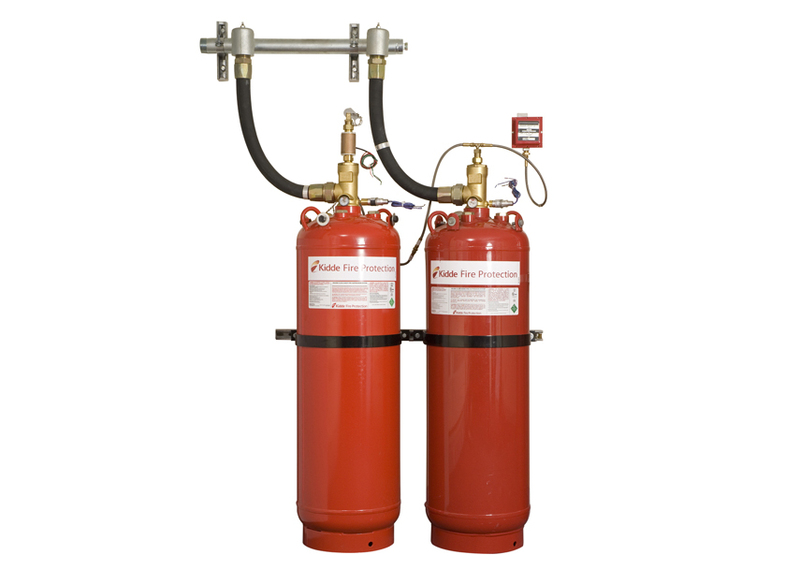 Fire suppression systems are used to extinguish or prevent the spread of fire in a building. 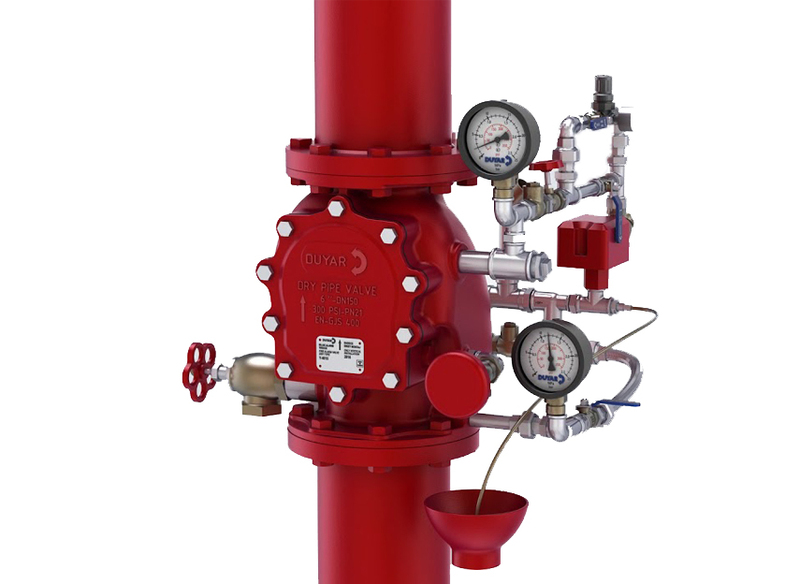 Suppression systems use a combination of dry chemicals and/or wet agents to suppress equipment fires.